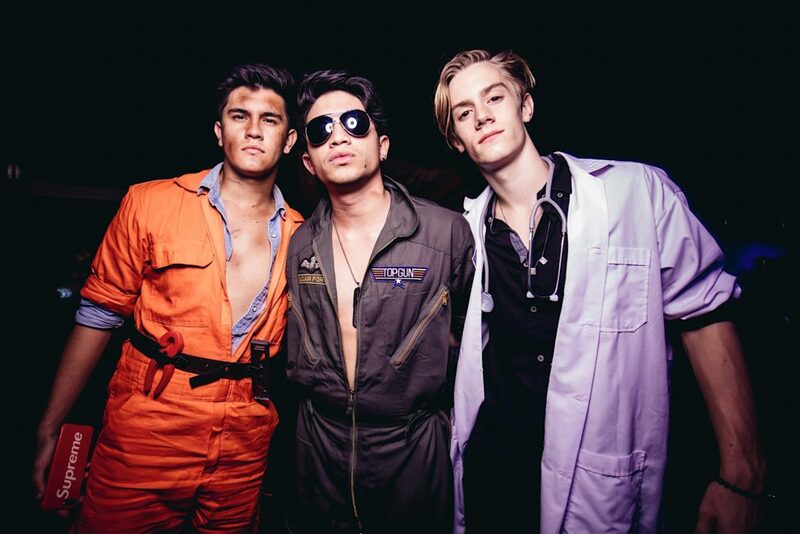 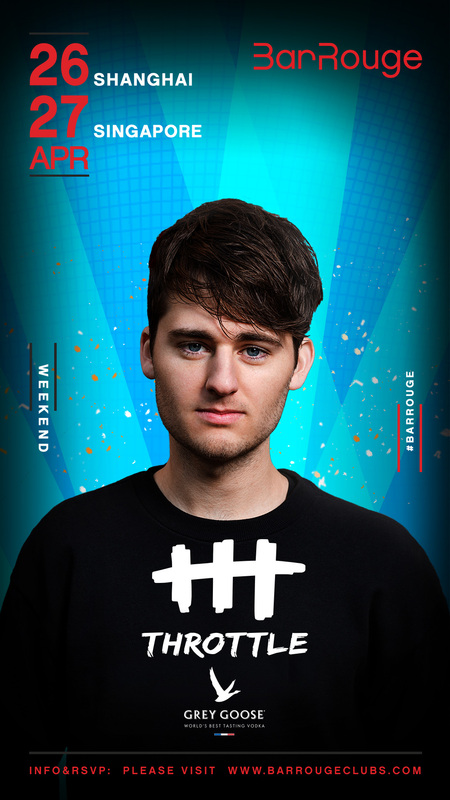 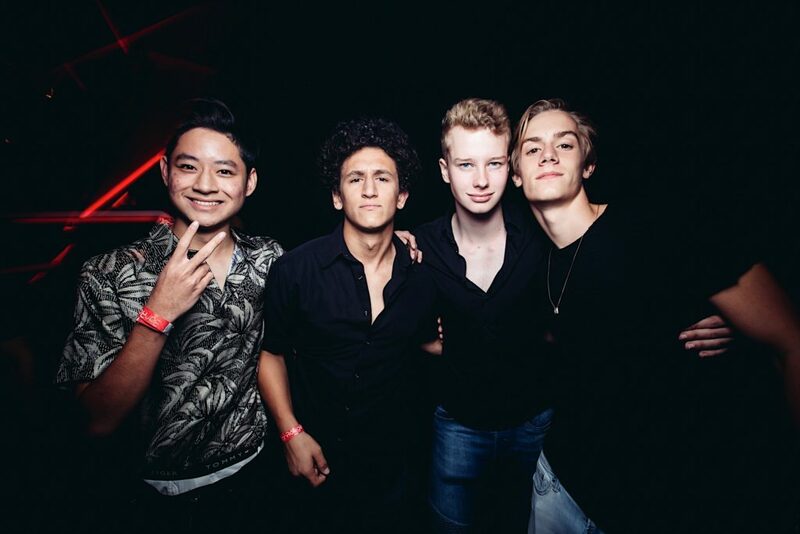 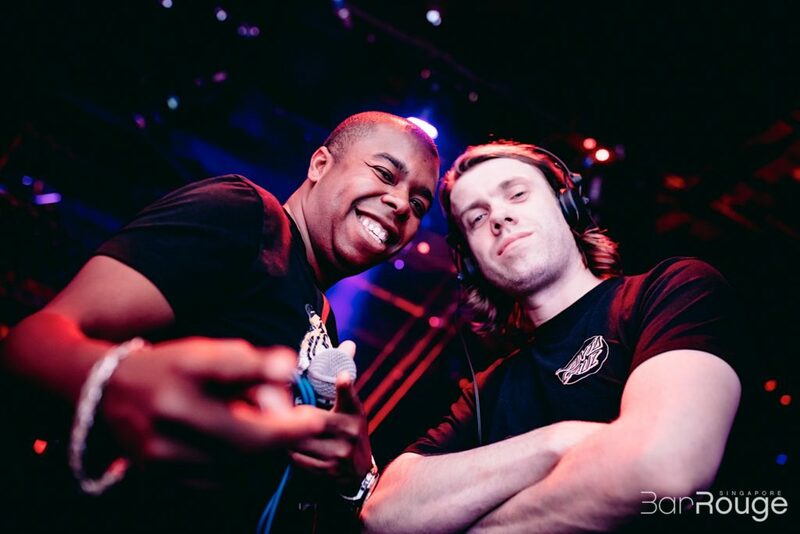 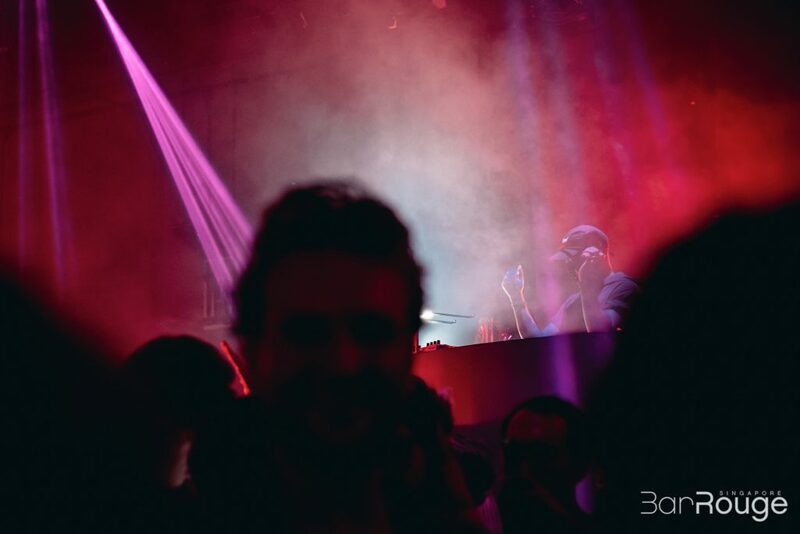 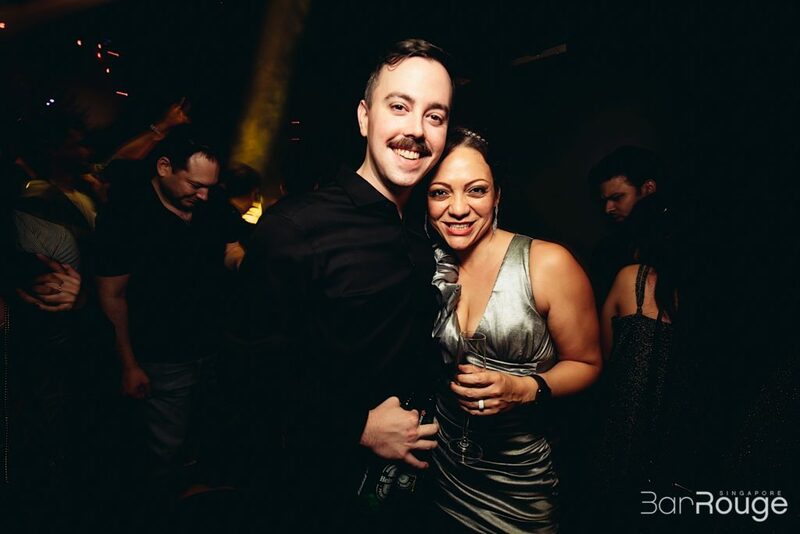 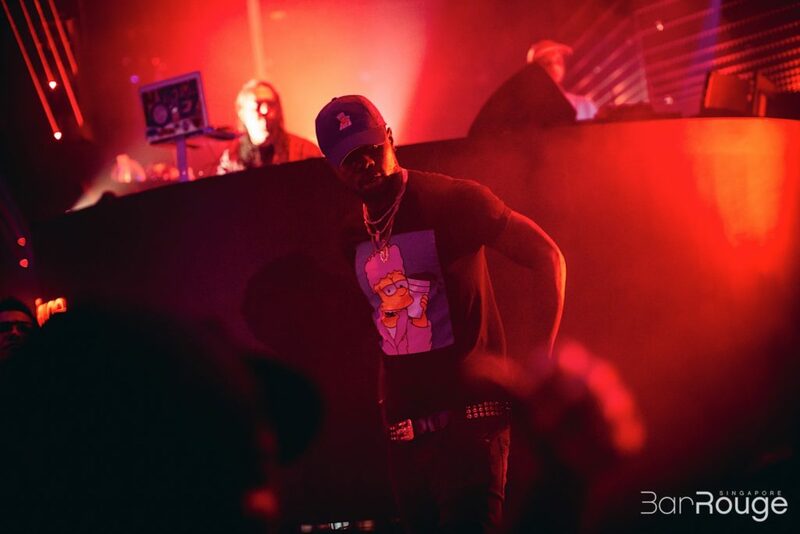 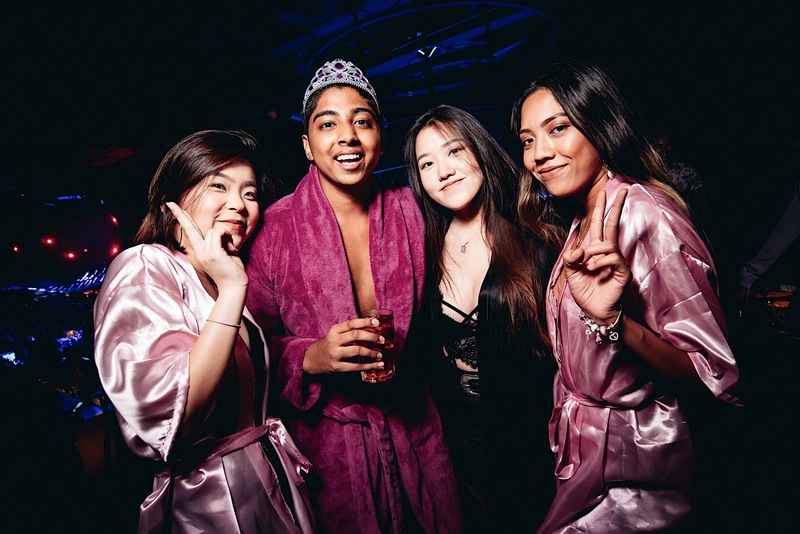 Fusing together references and inspirations from different eras and genres such as disco, jazz and hip-hop, Throttle has created a signature genre of his own which he proudly calls “dirty-disco”. 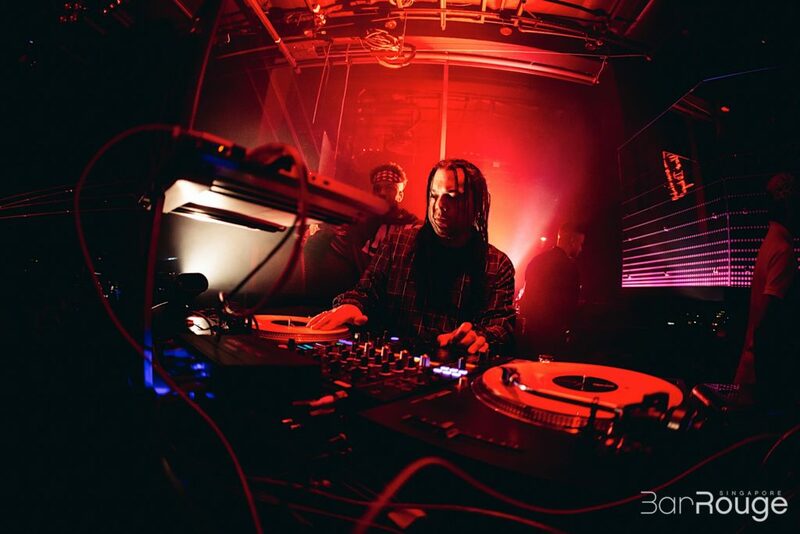 His finesse in tune-turning has earned him the honour of being American evergreen band, Earth’s first remix artist for their classic track, September. 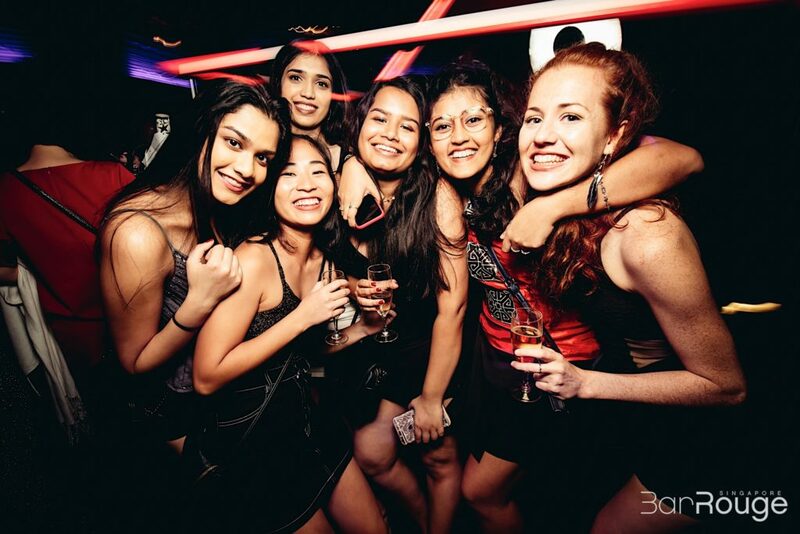 Get ready to let loose and let your party engines go throttle with dynamic sounds and body rocking tunes by the critically acclaimed, Throttle! 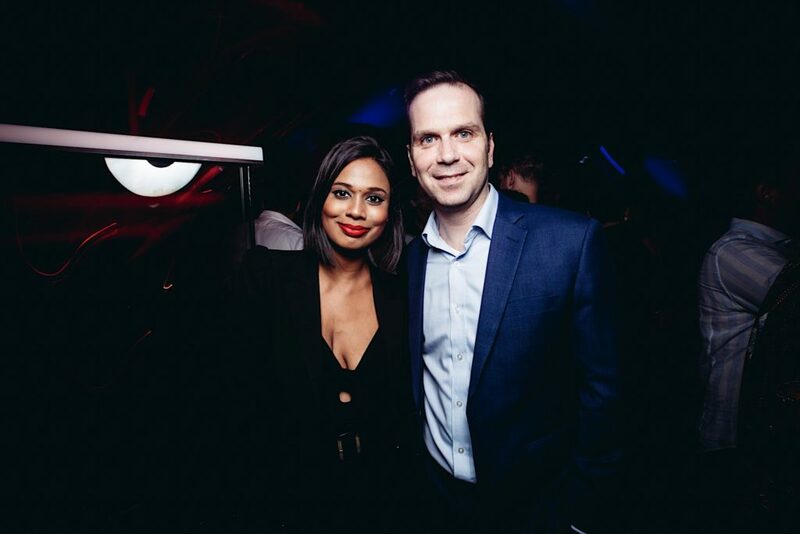 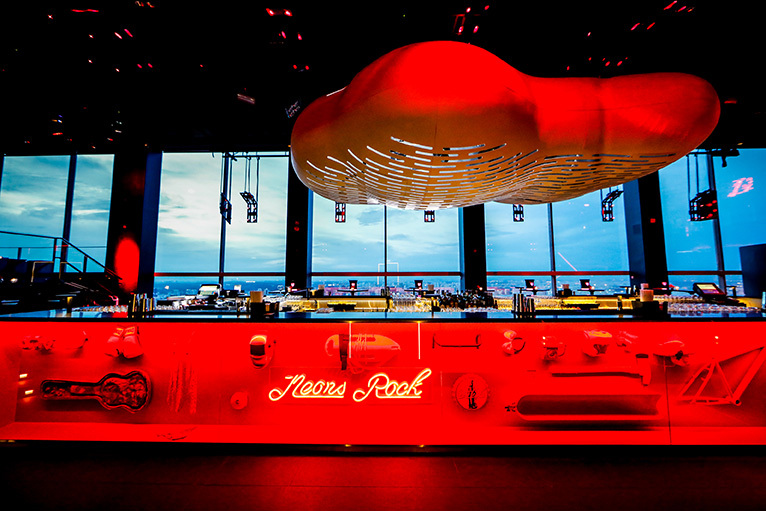 Bar Rouge takes crowning residence at the pinnacle of the city’s tallest hotel on the 71st floor of Swissôtel The Stamford. 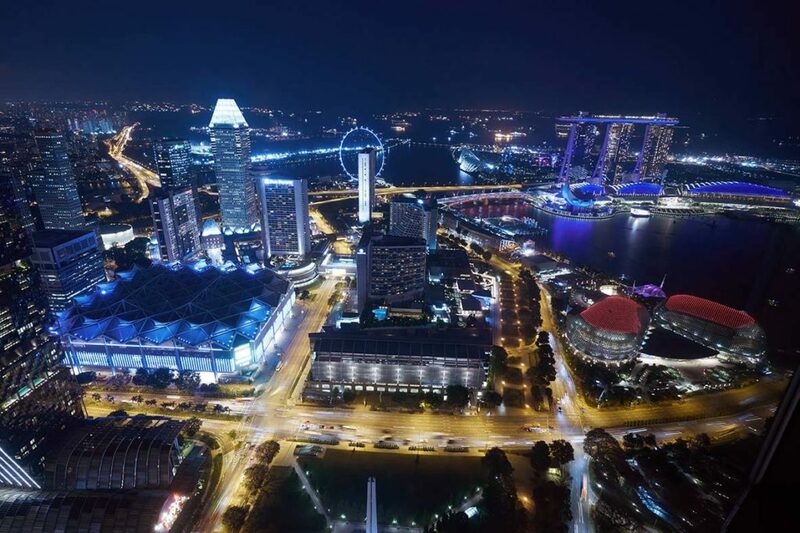 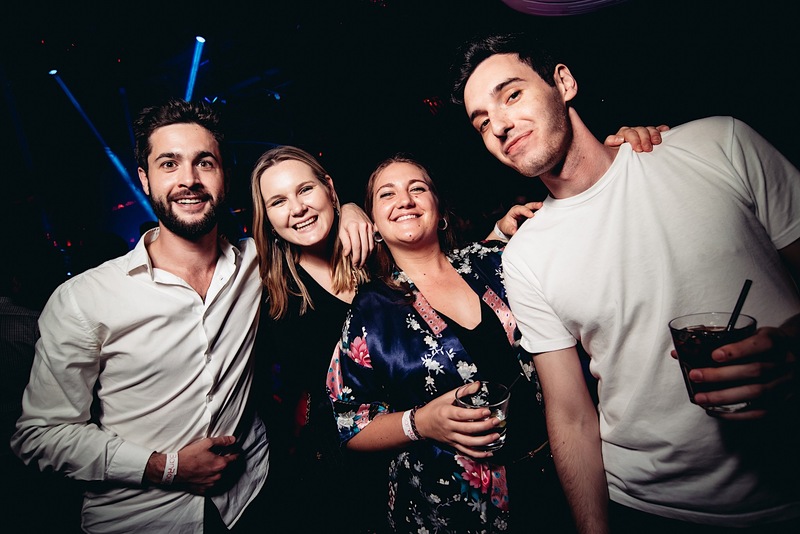 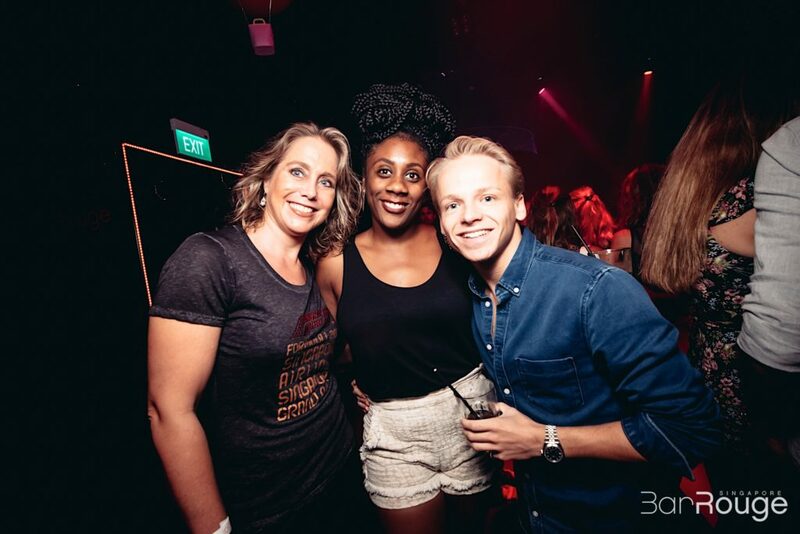 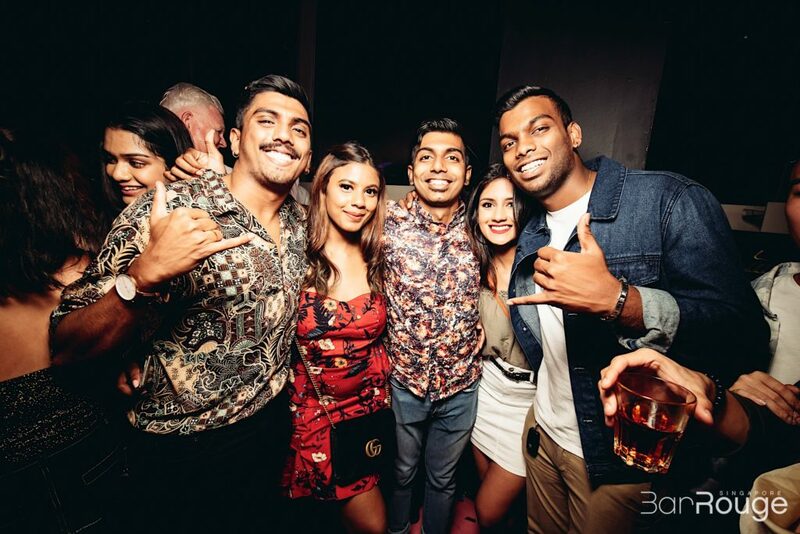 Singapore’s premier rooftop nightlife destination delivers riveting beats against unparalleled cityscape panoramas featuring iconic local landmarks including the Singapore Flyer, Marina Bay Sands and Gardens by the Bay. 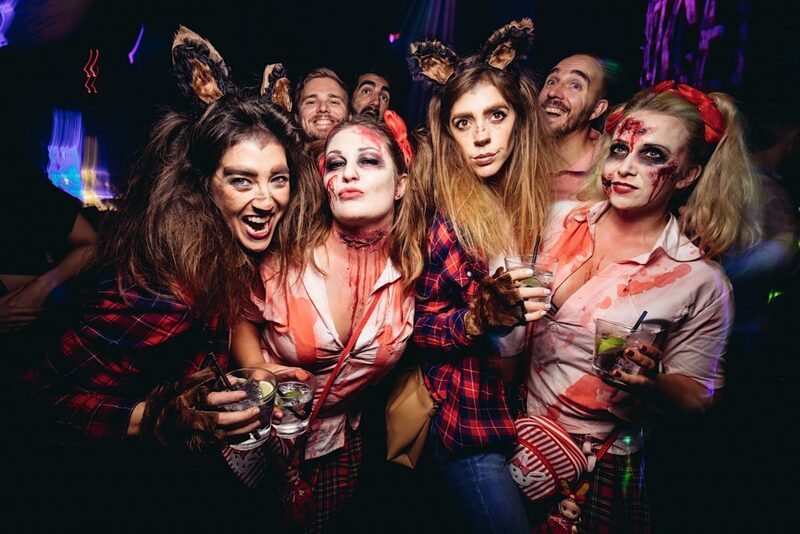 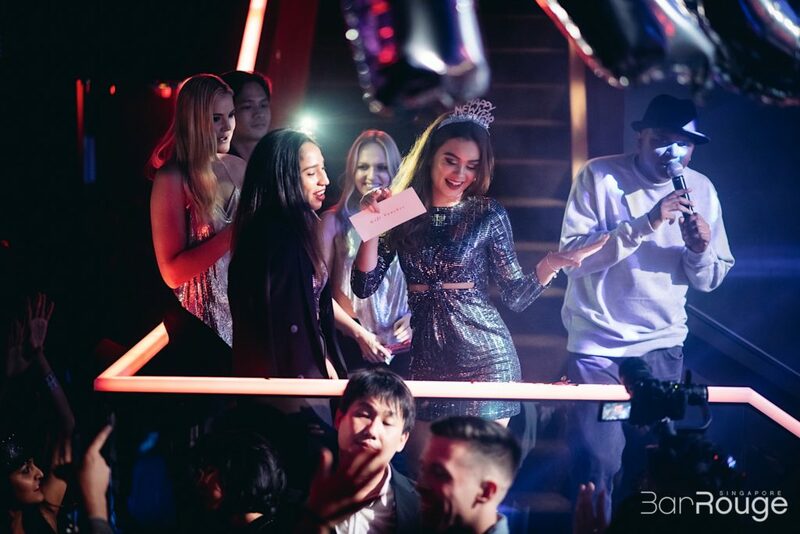 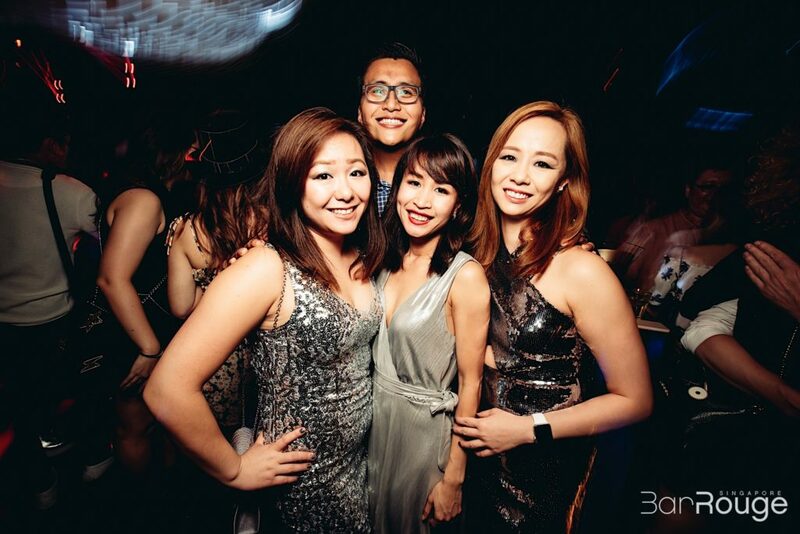 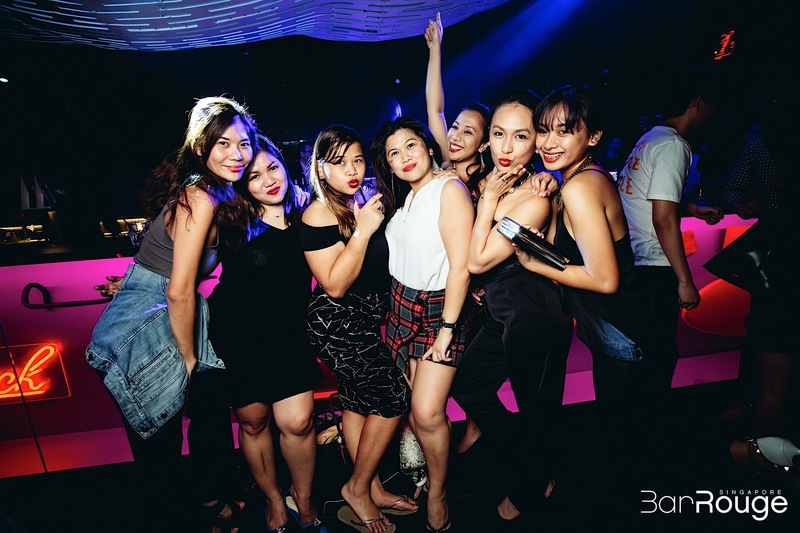 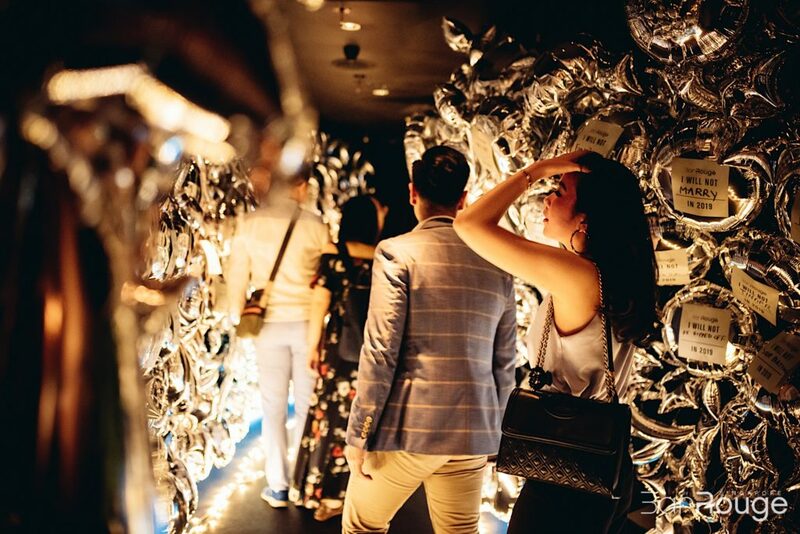 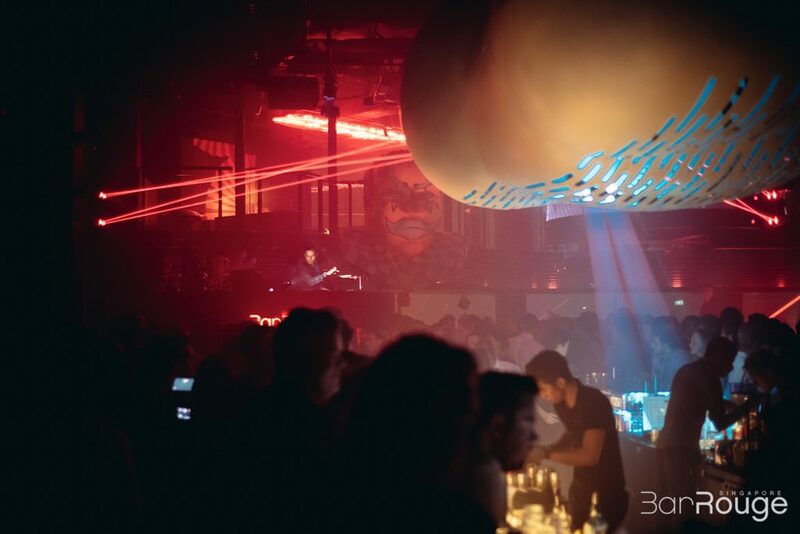 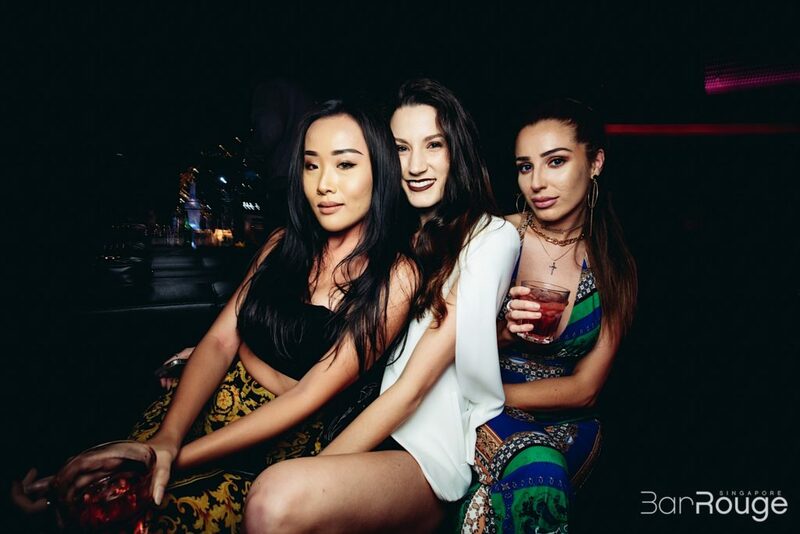 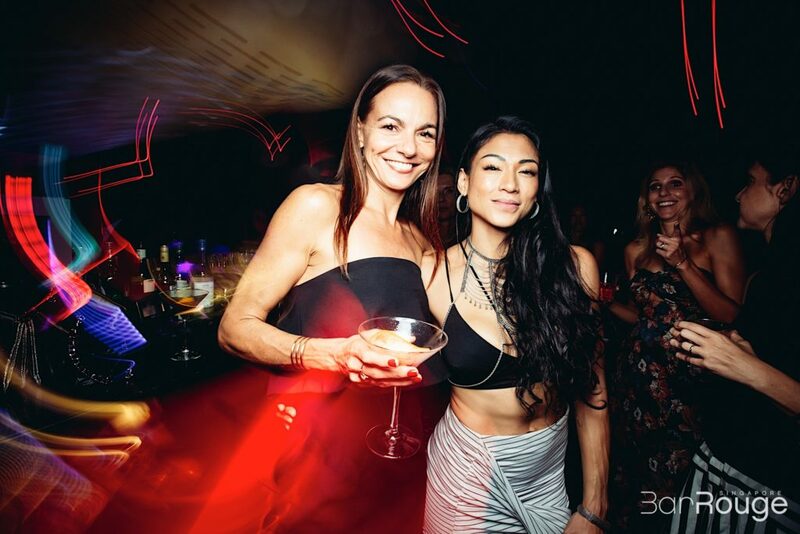 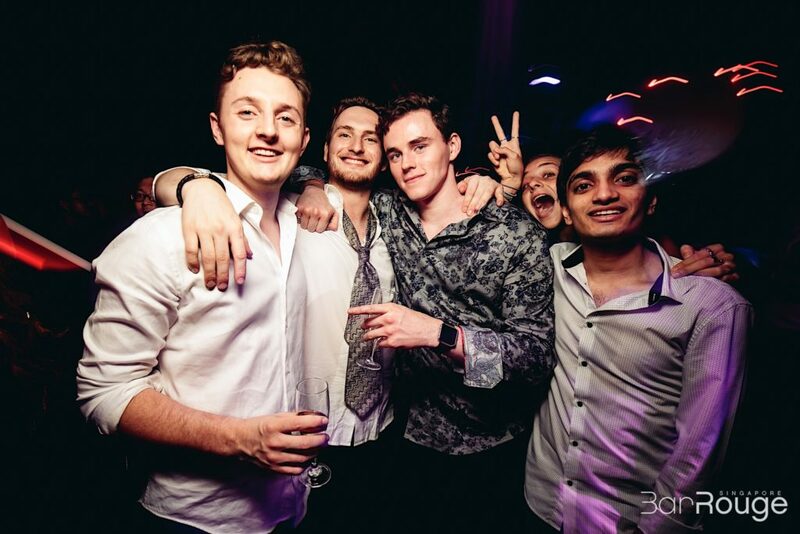 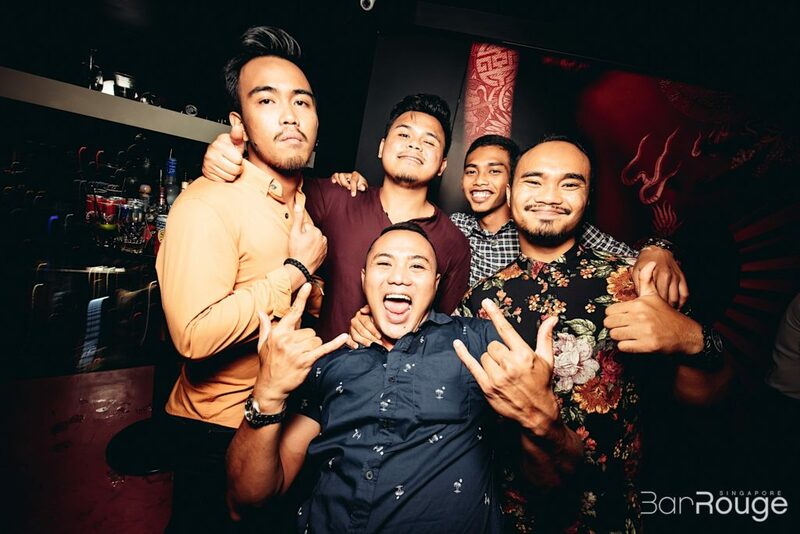 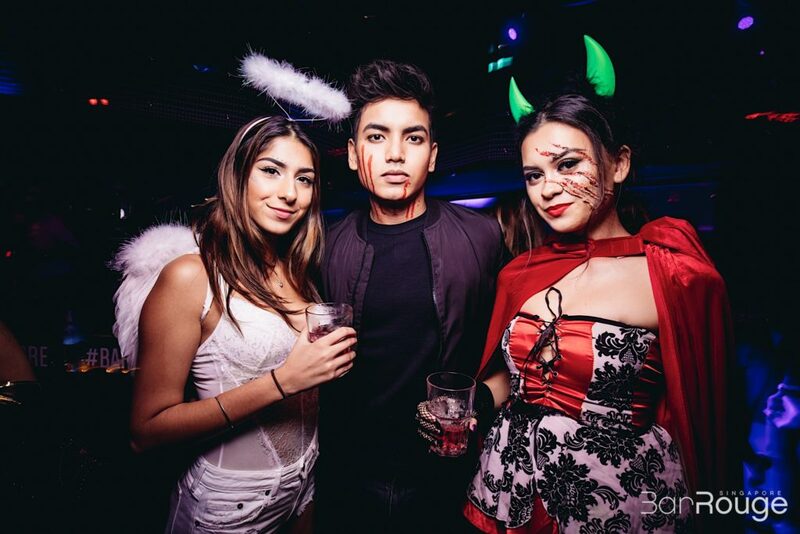 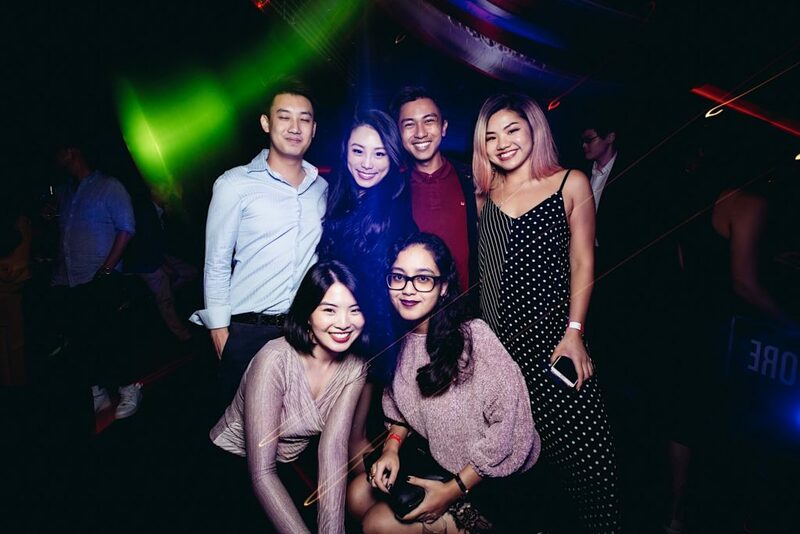 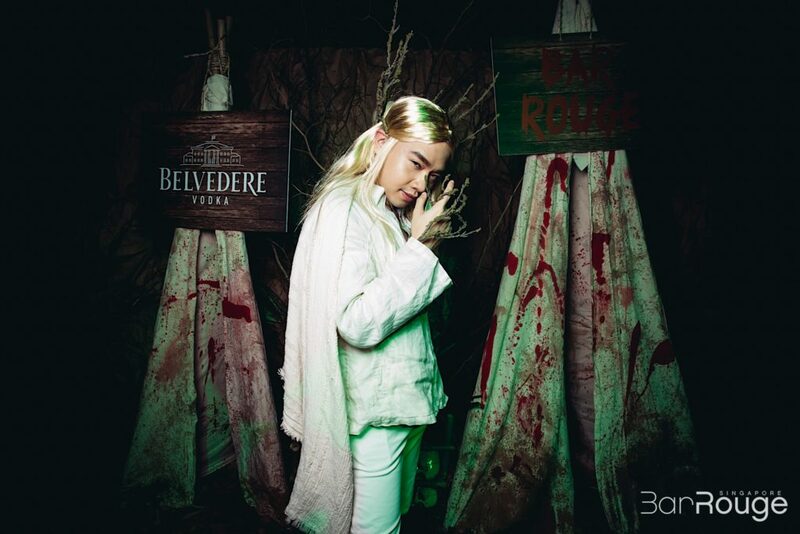 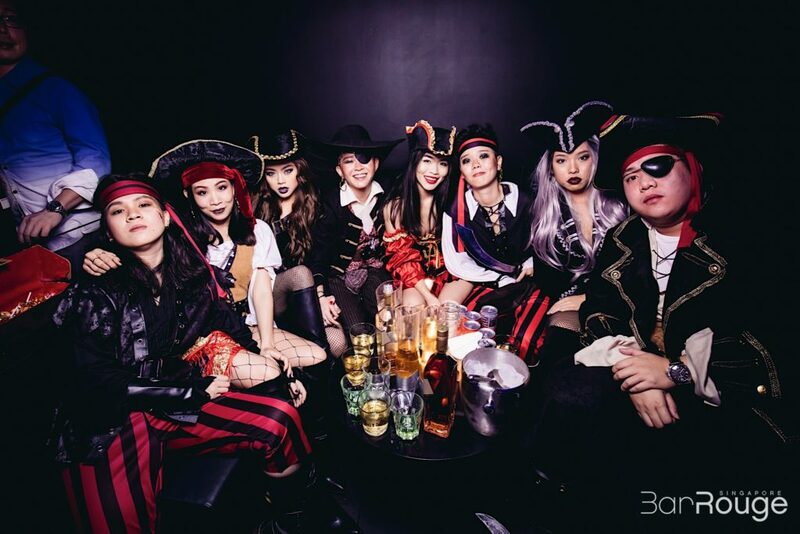 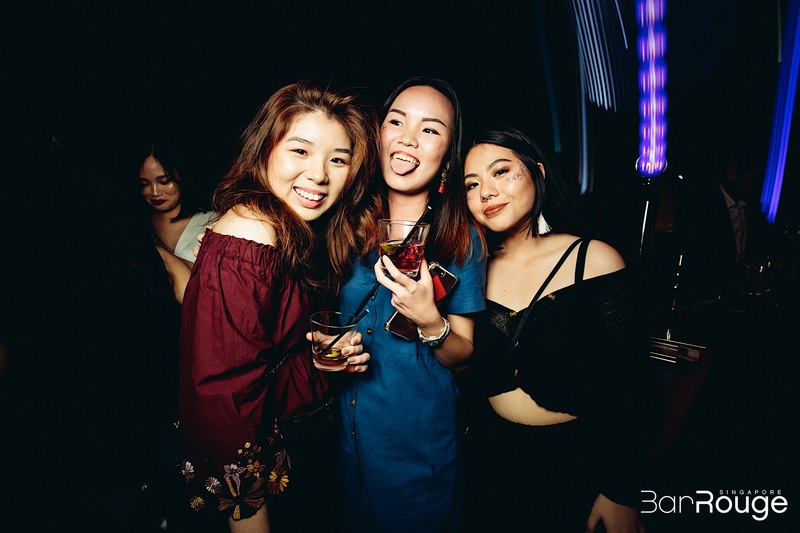 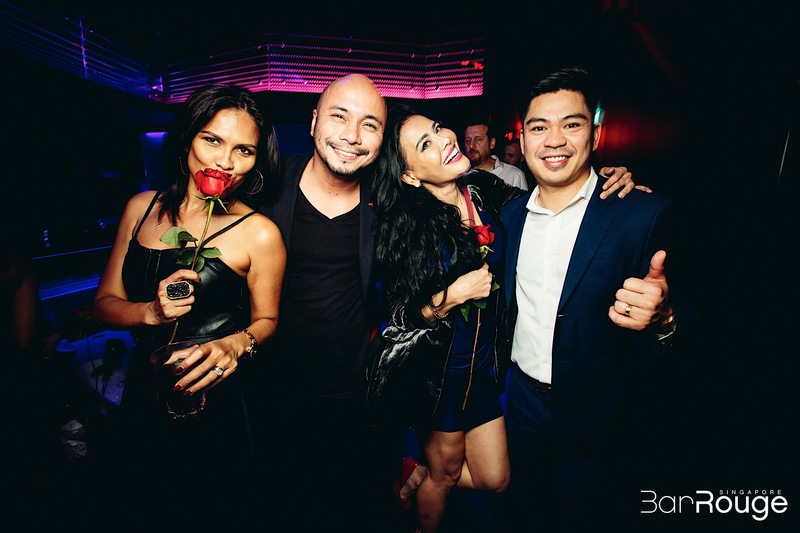 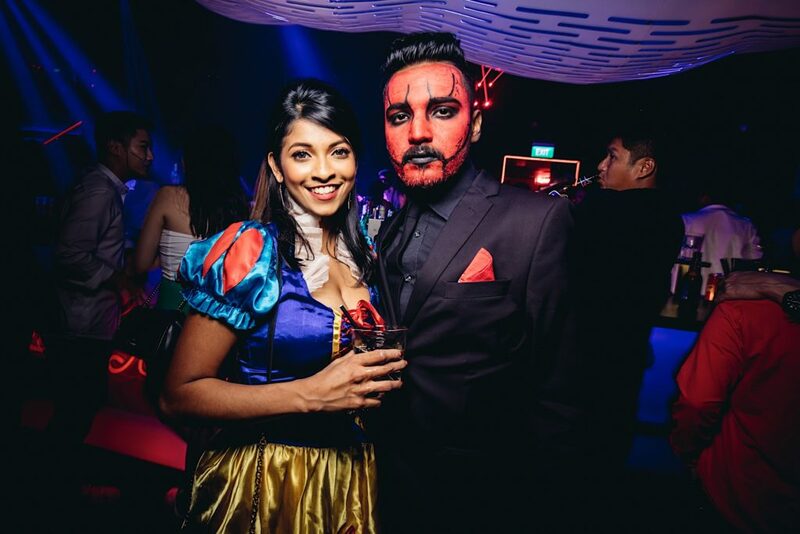 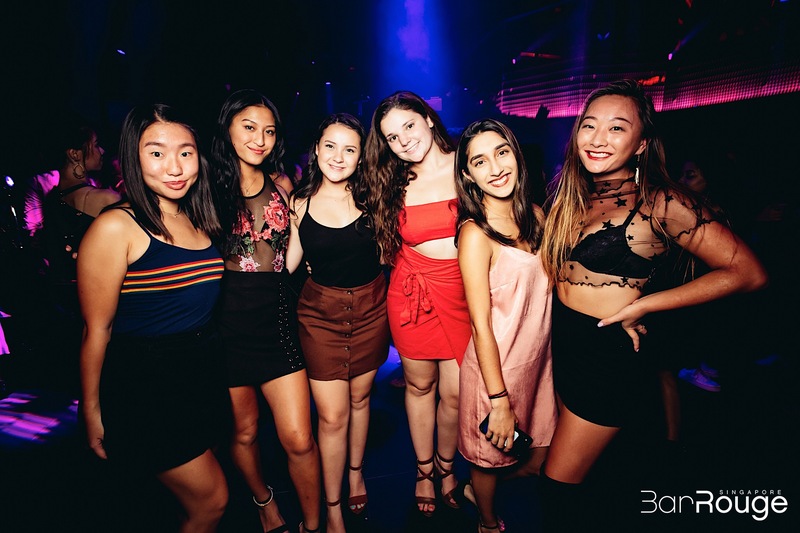 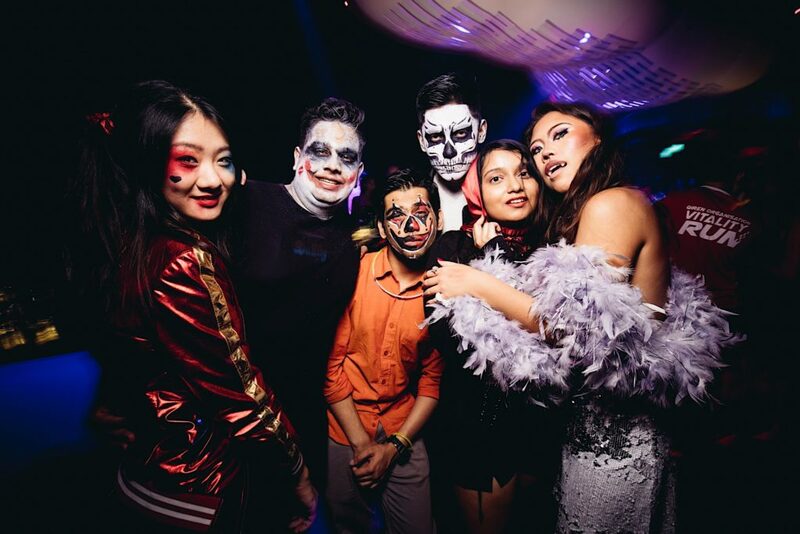 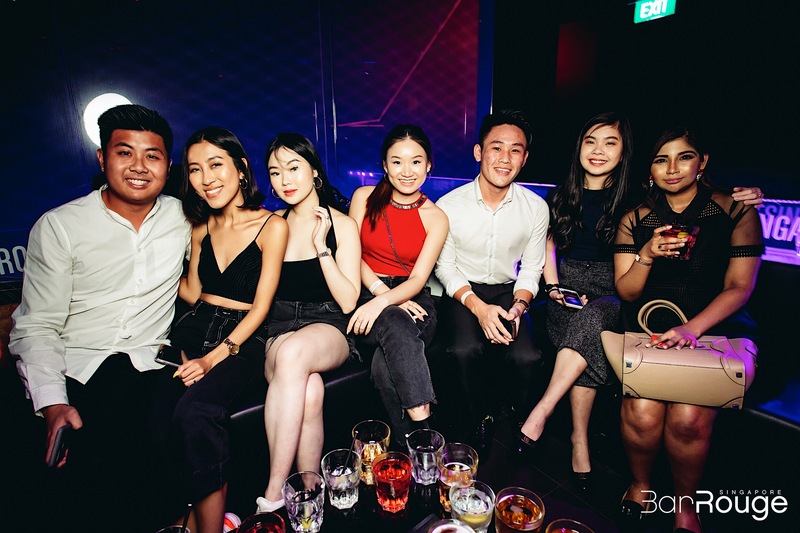 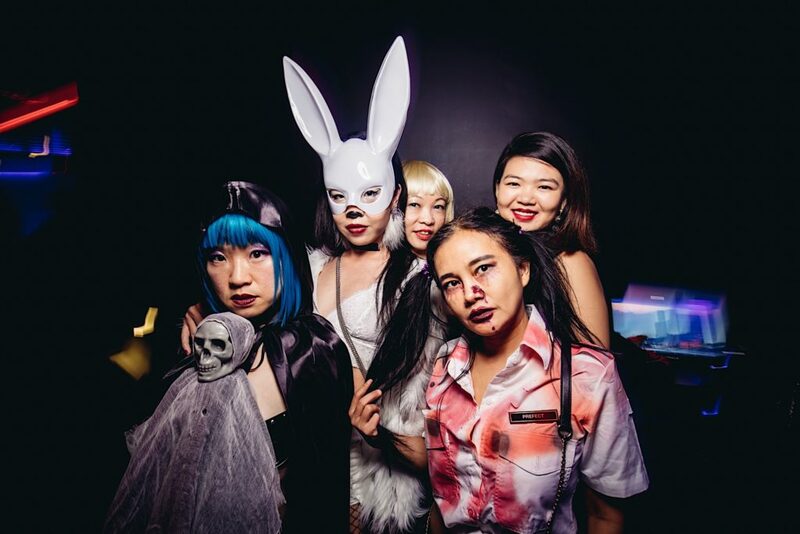 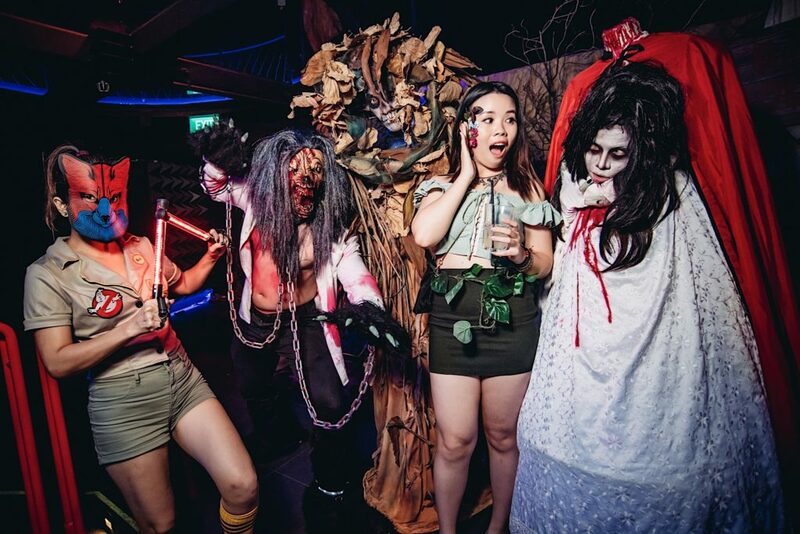 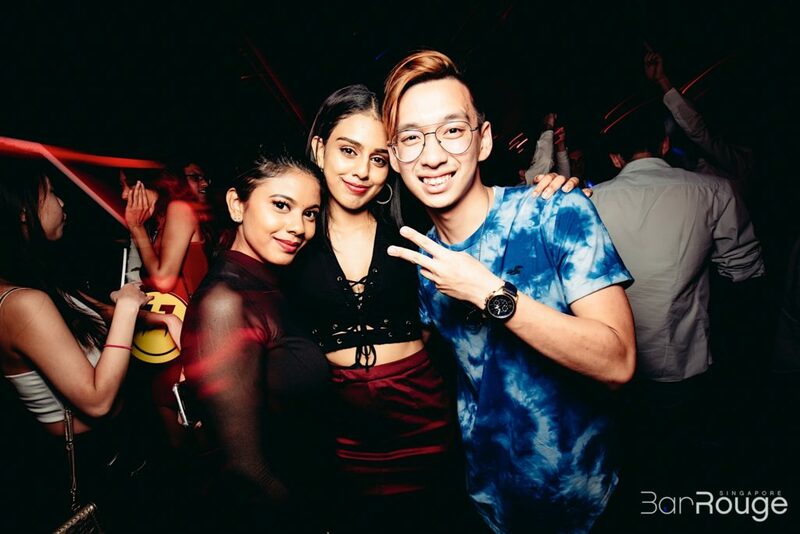 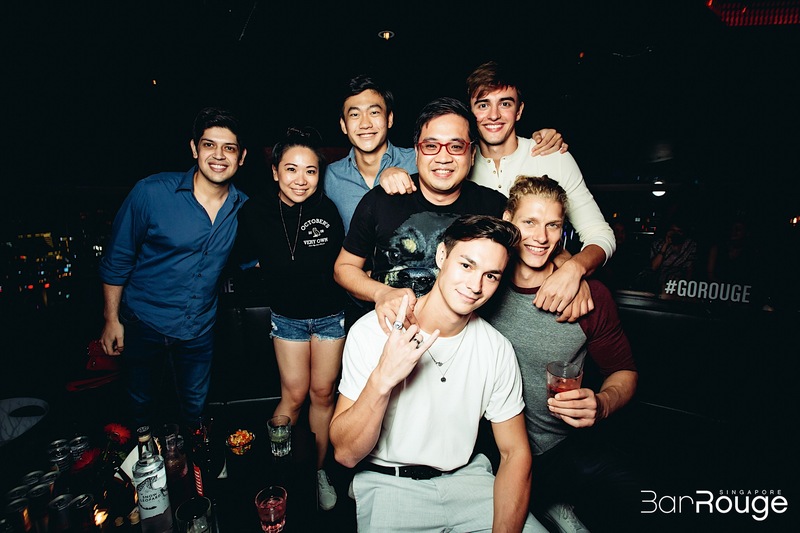 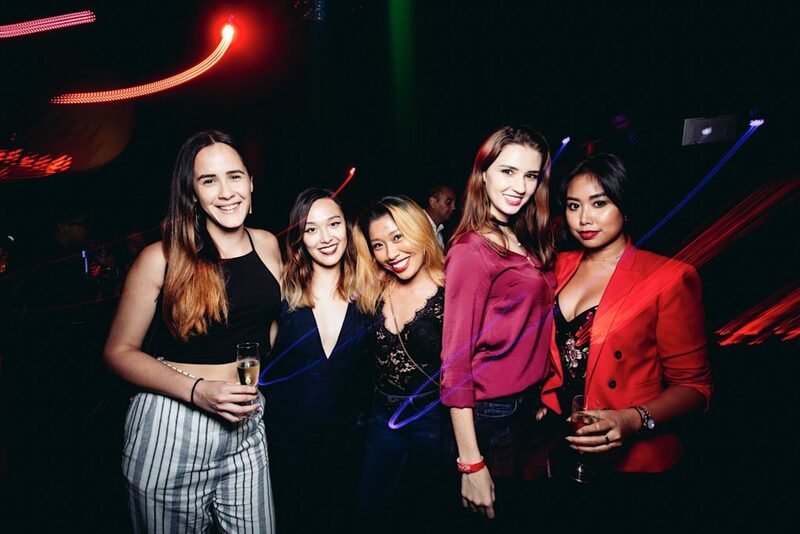 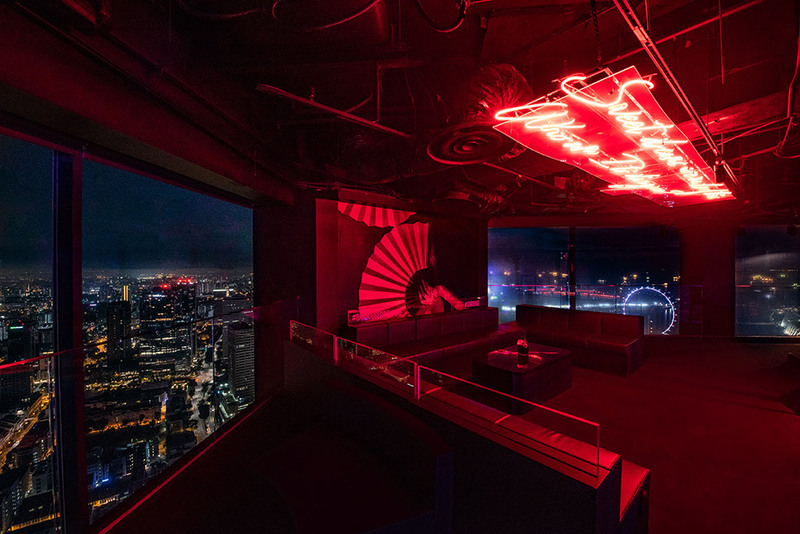 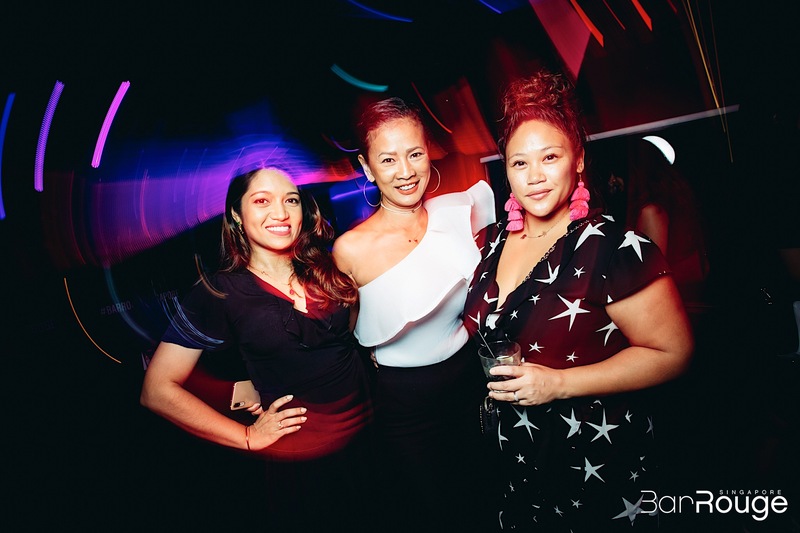 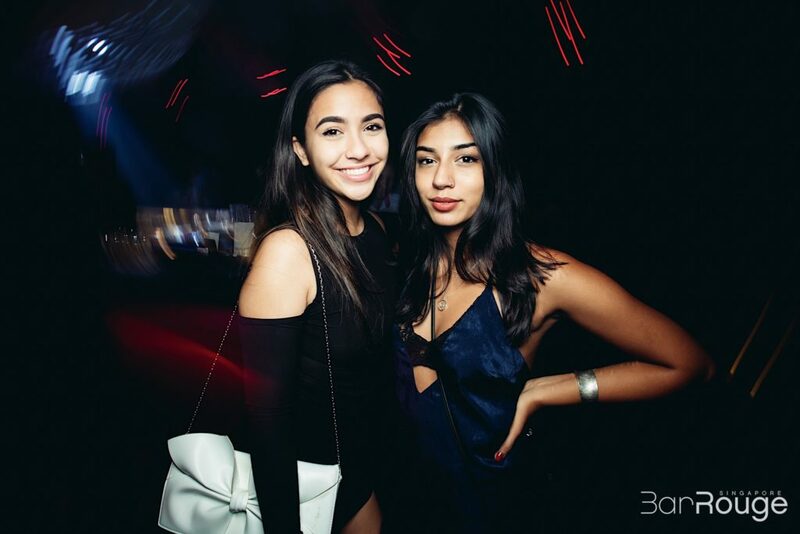 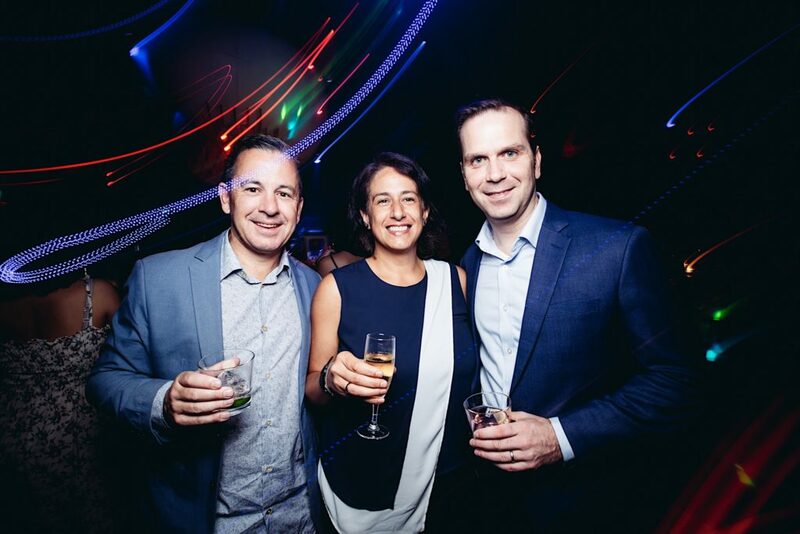 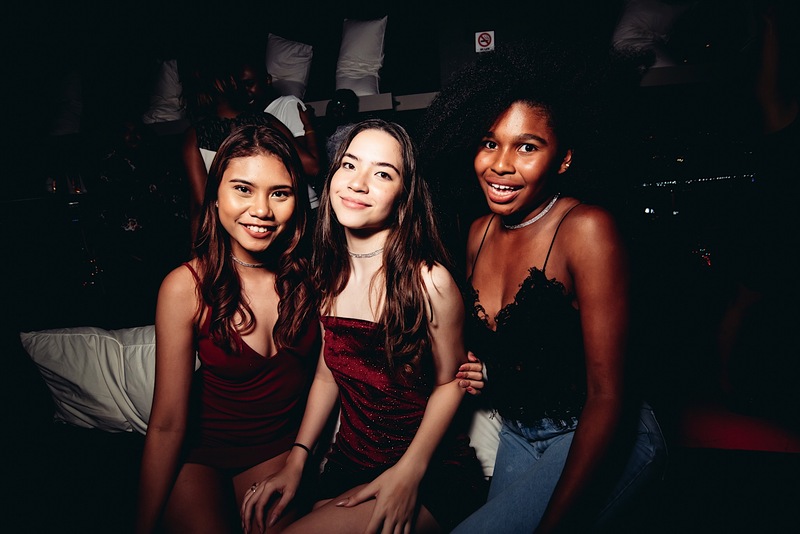 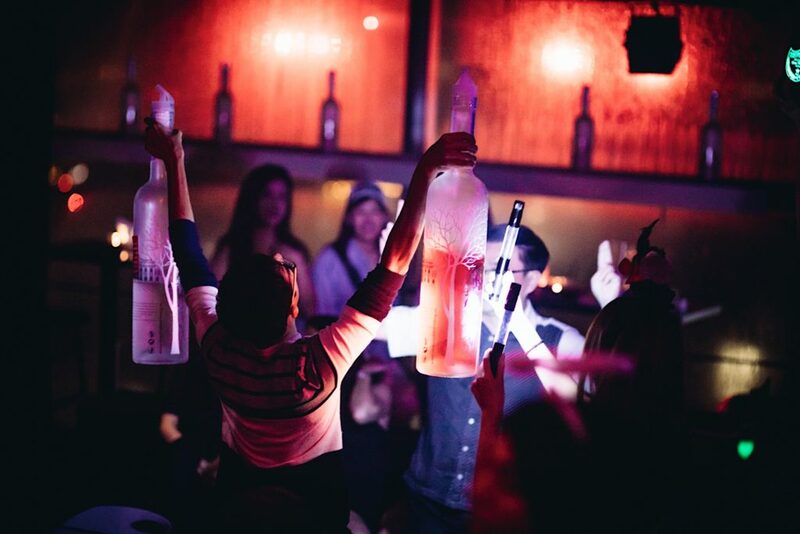 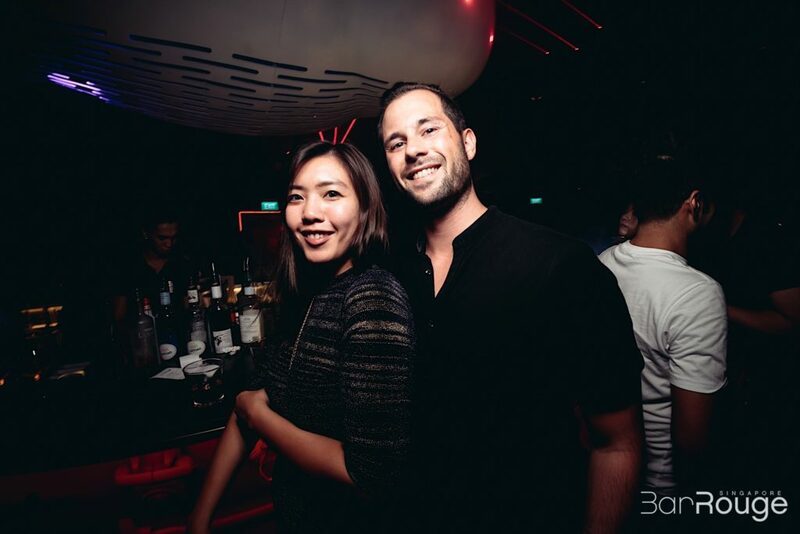 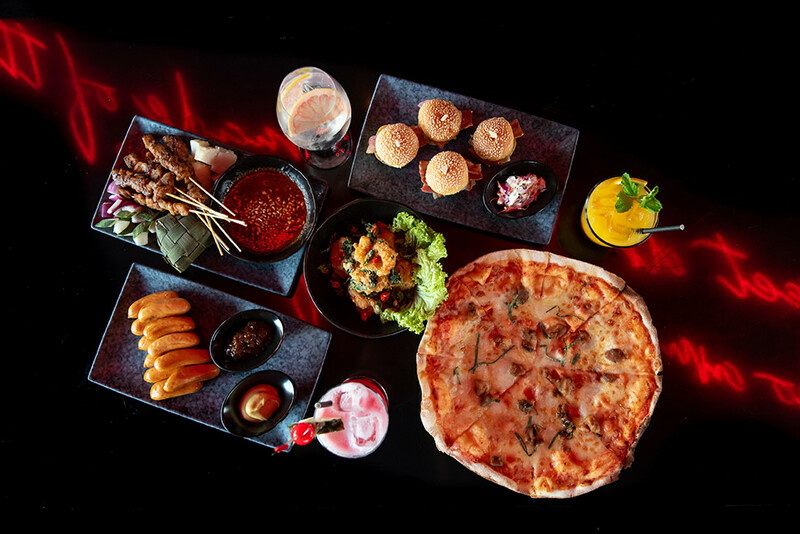 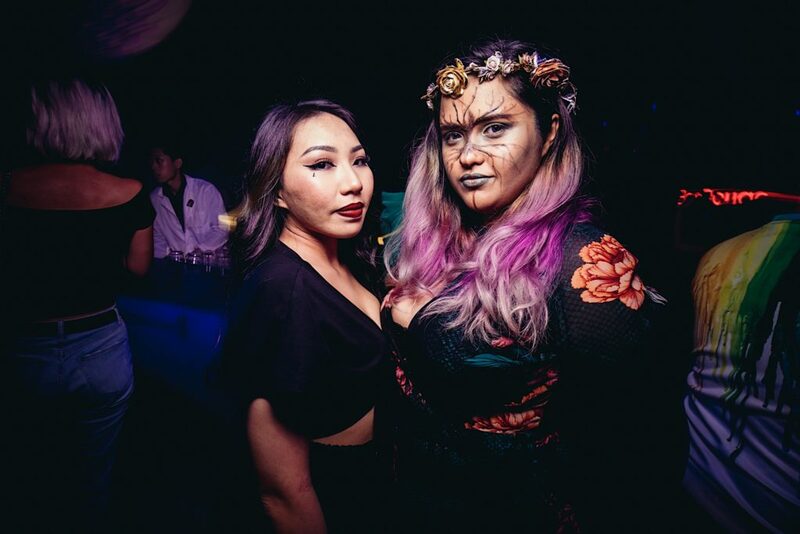 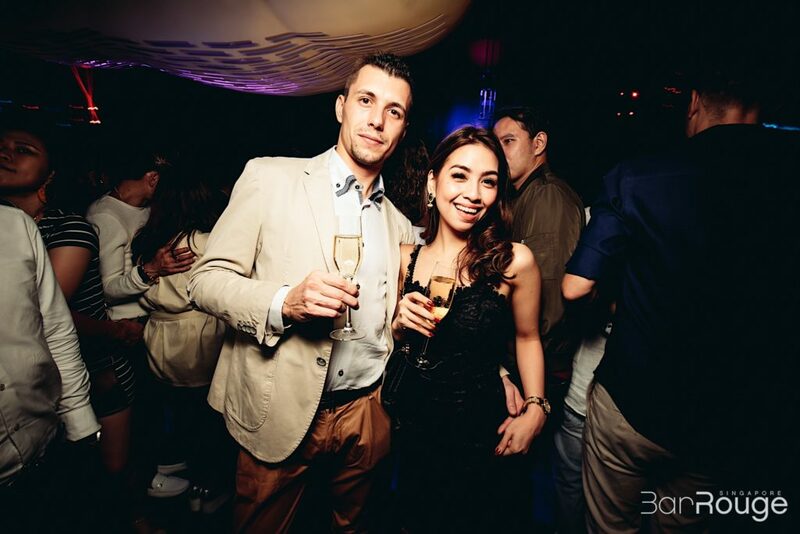 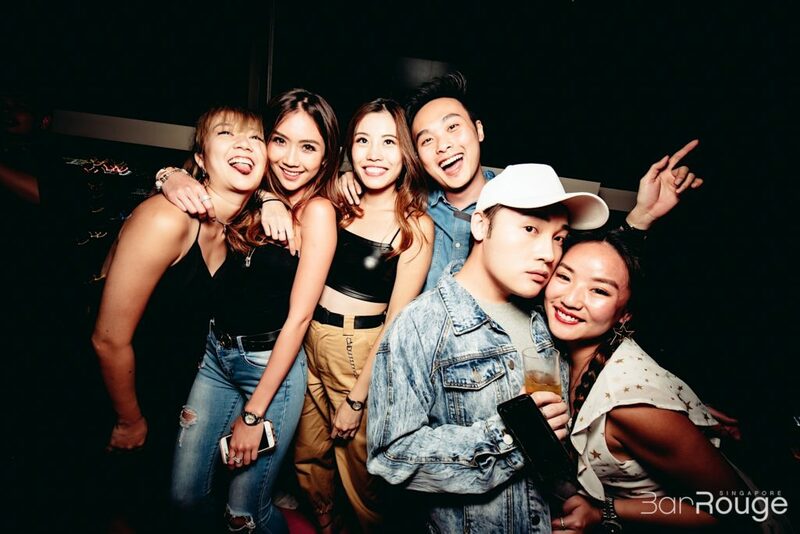 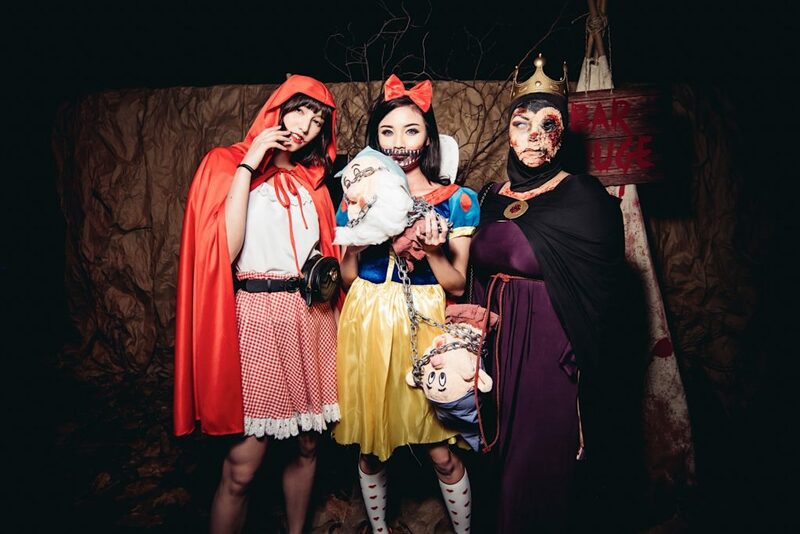 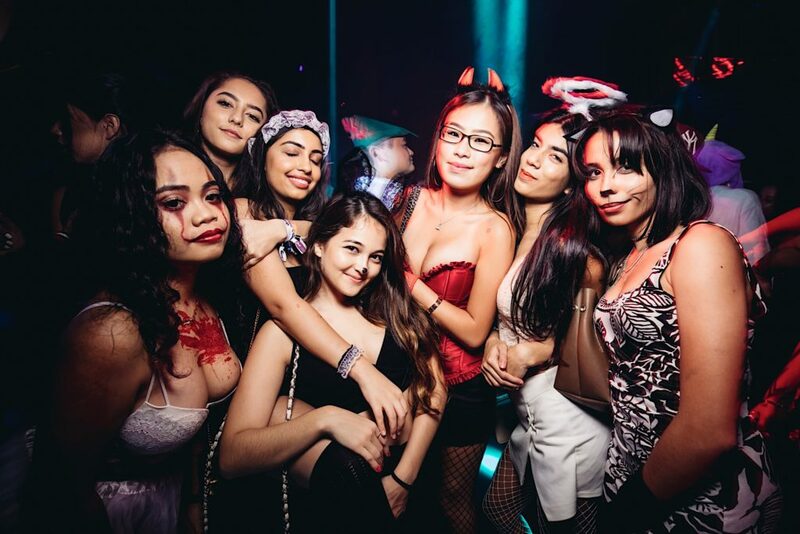 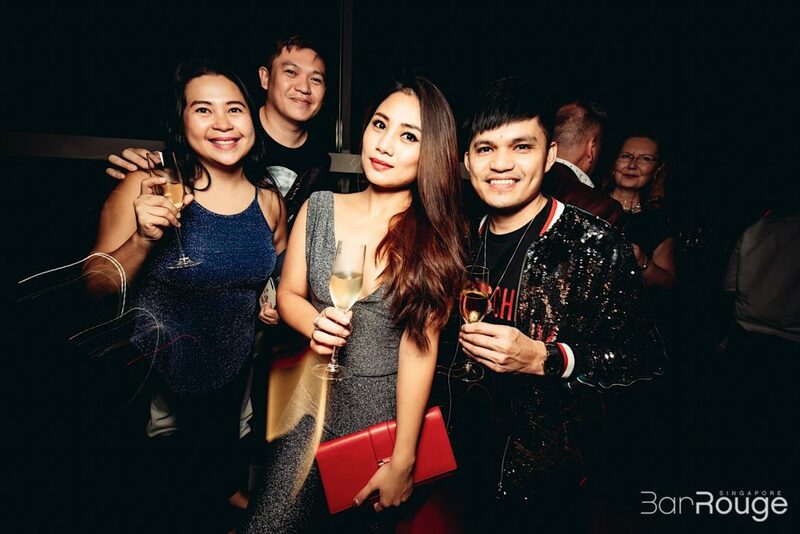 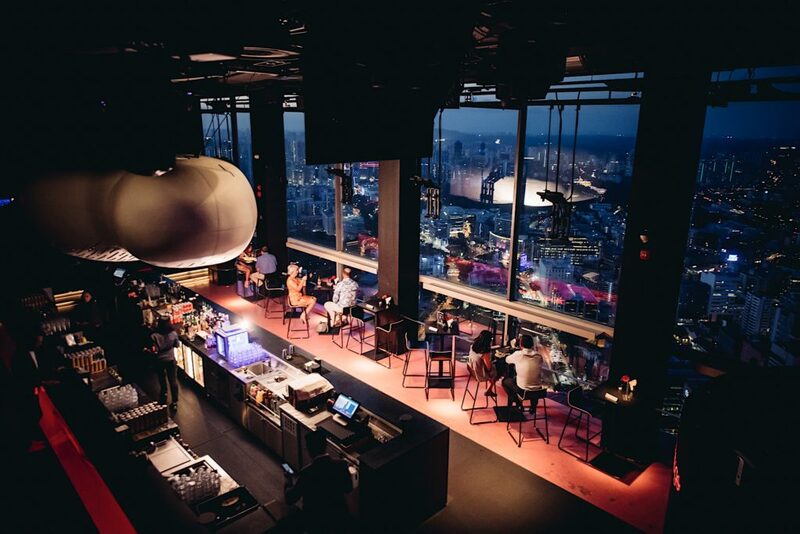 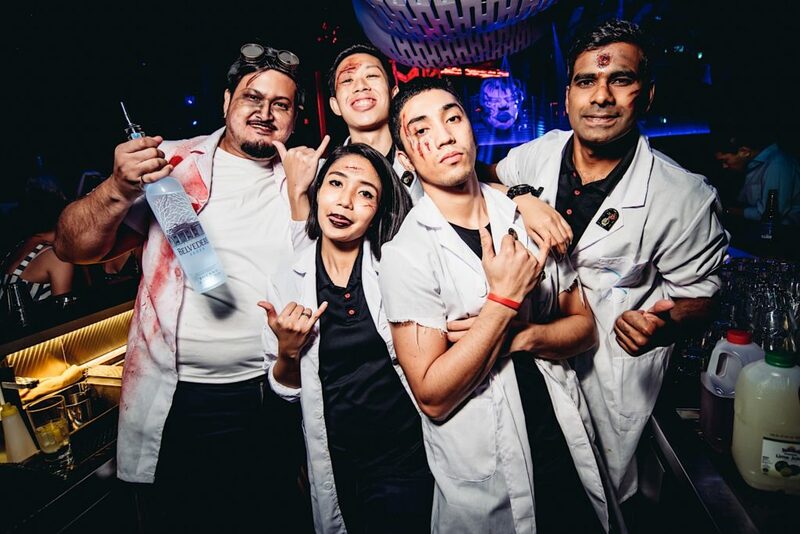 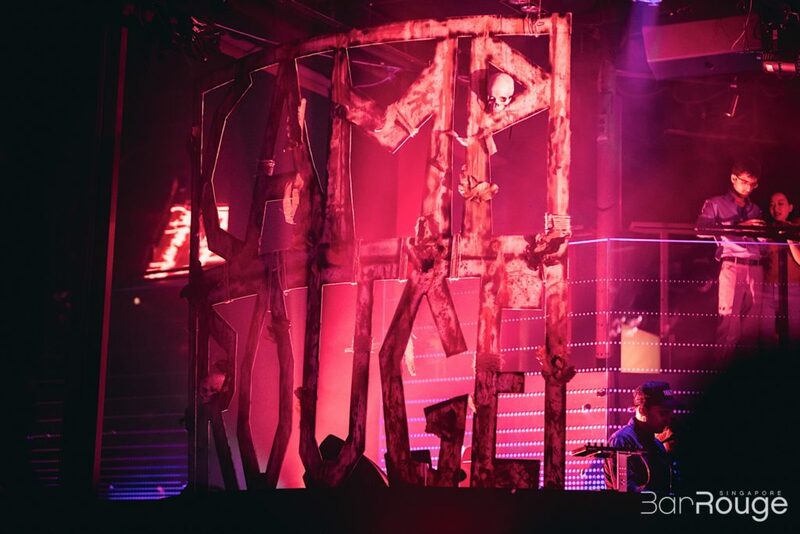 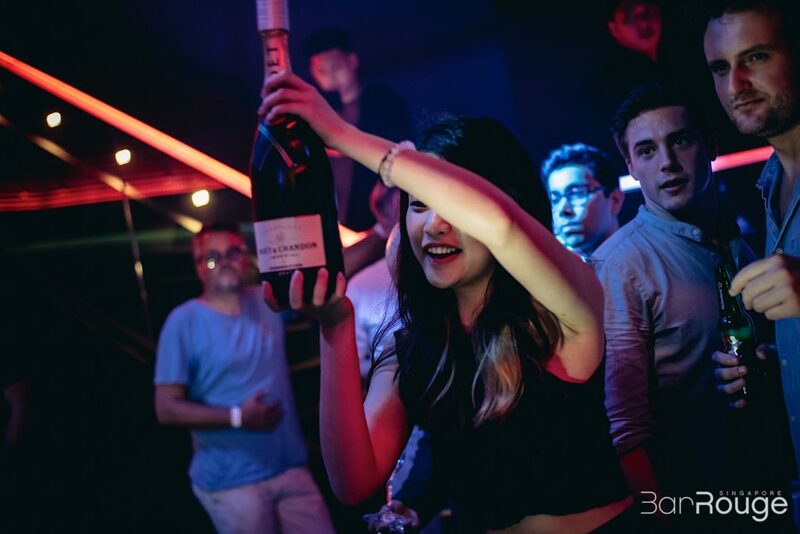 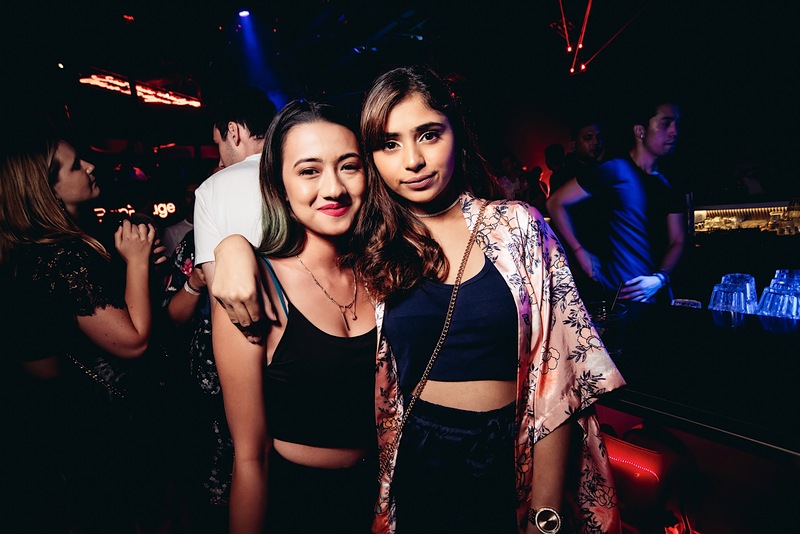 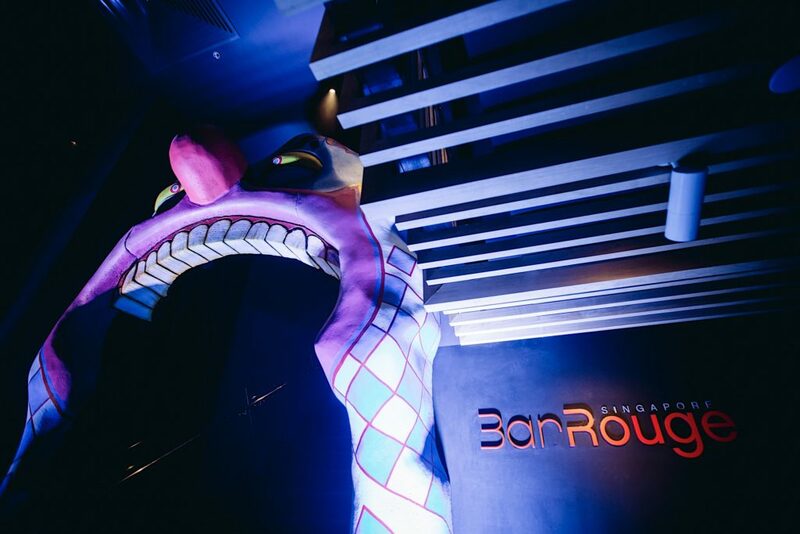 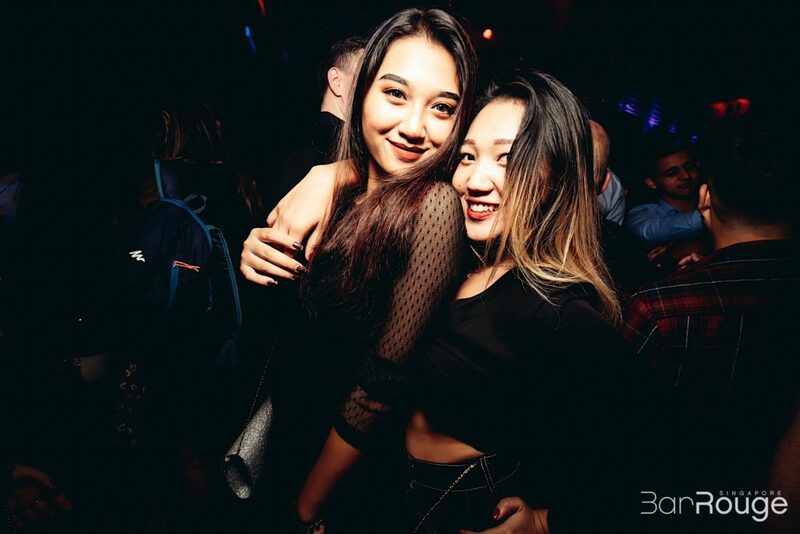 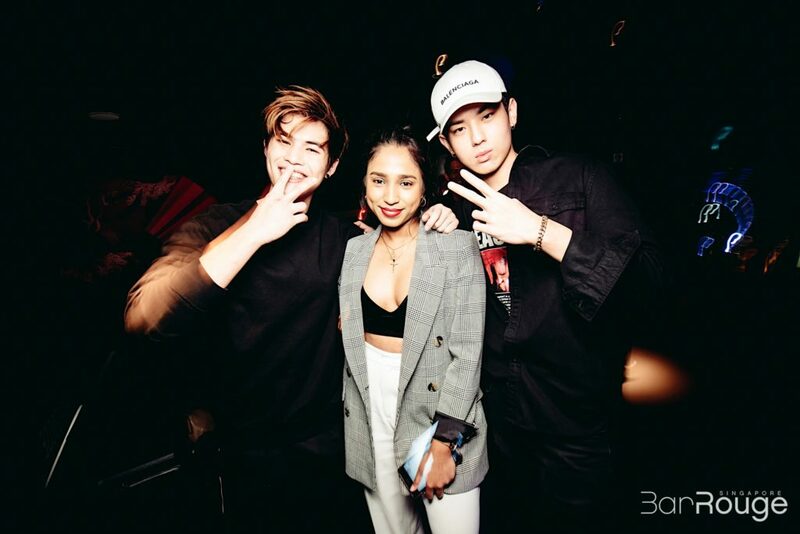 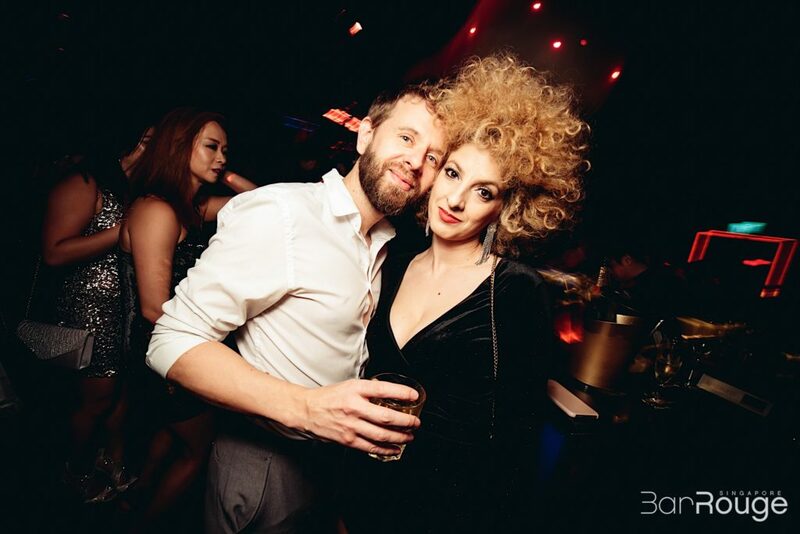 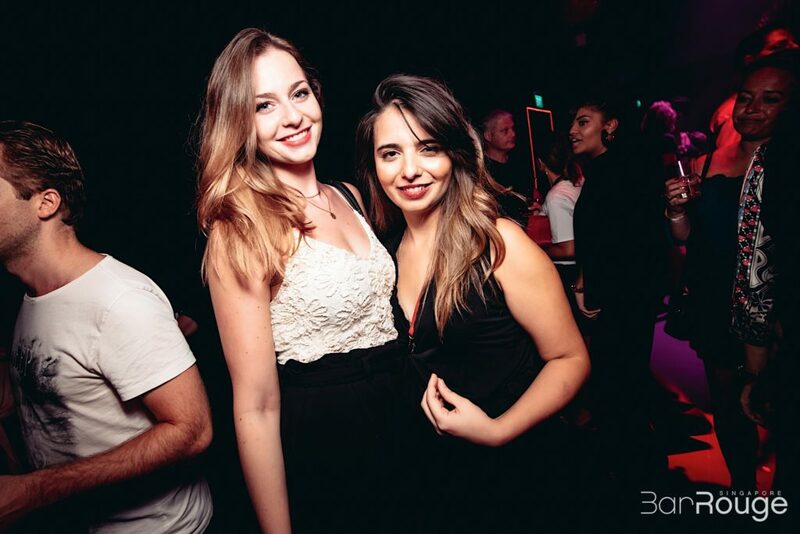 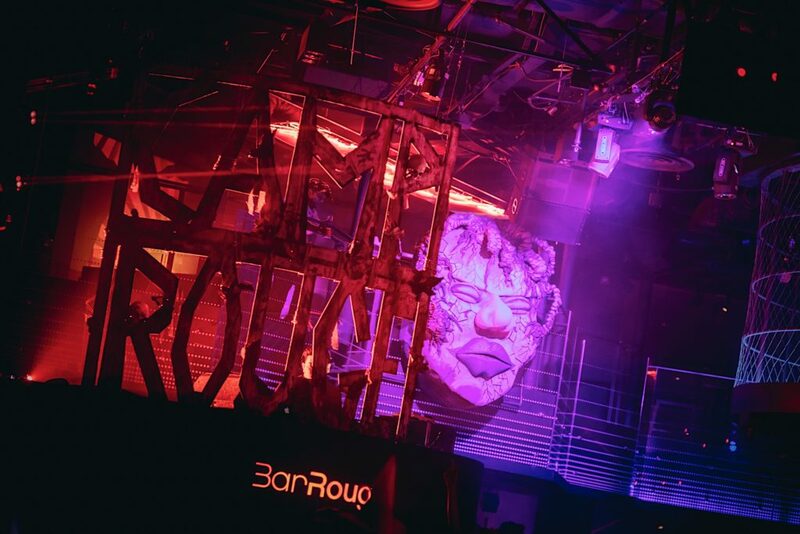 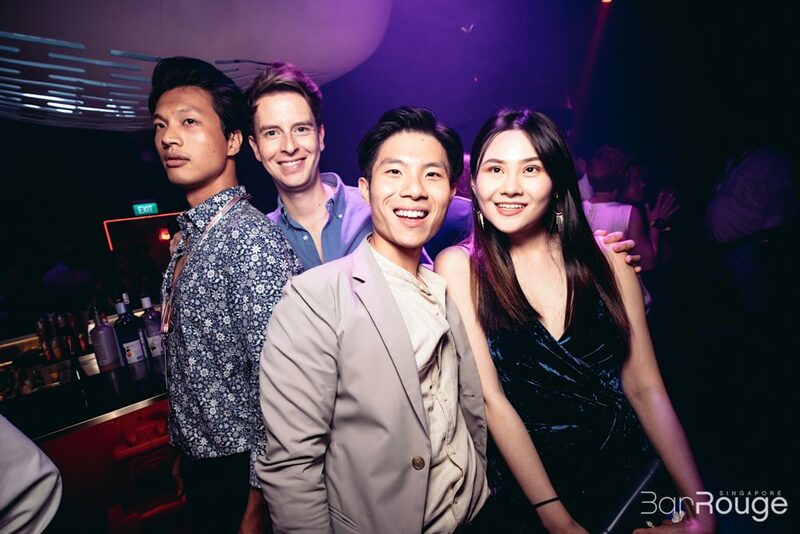 The only international outpost of the legendary Shanghai nightclub, Bar Rouge Singapore has carved a name for itself in the city’s dynamic nightlife scene since its arrival one year ago, combining high-altitude views with great value drinks and high-octane entertainment – from dusk till dawn. 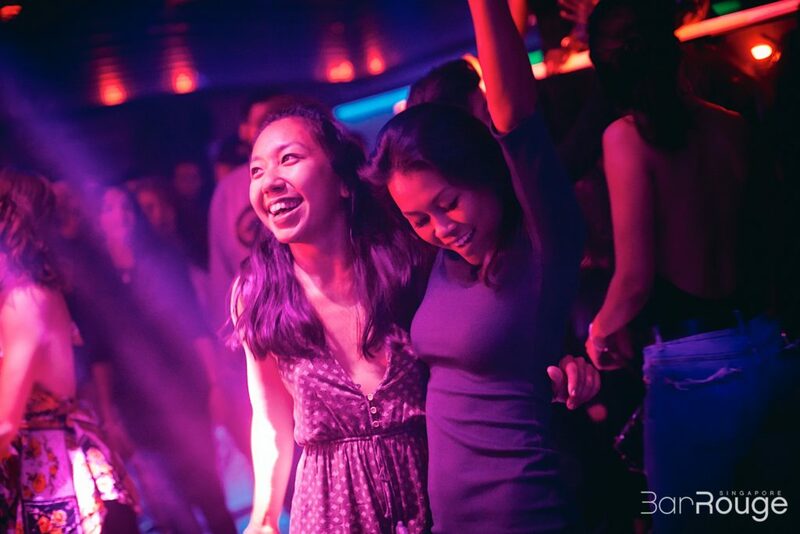 It’s Girl’s Night Out and girls just wanna have fun. 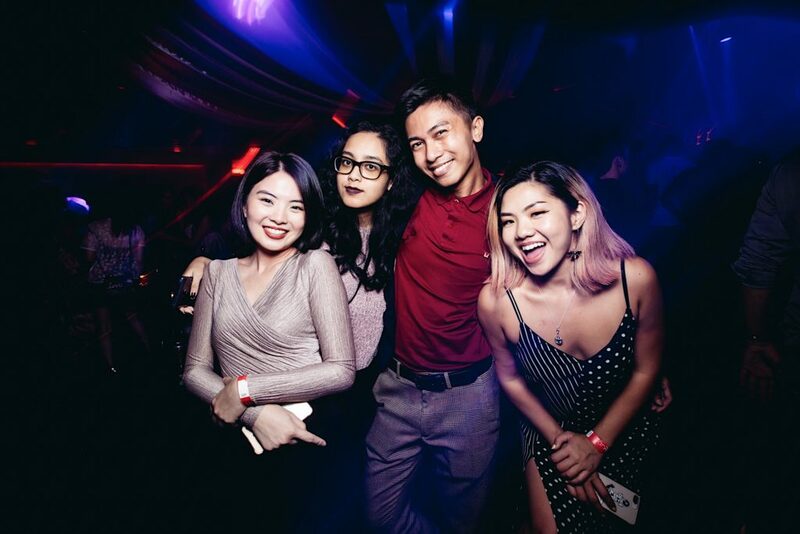 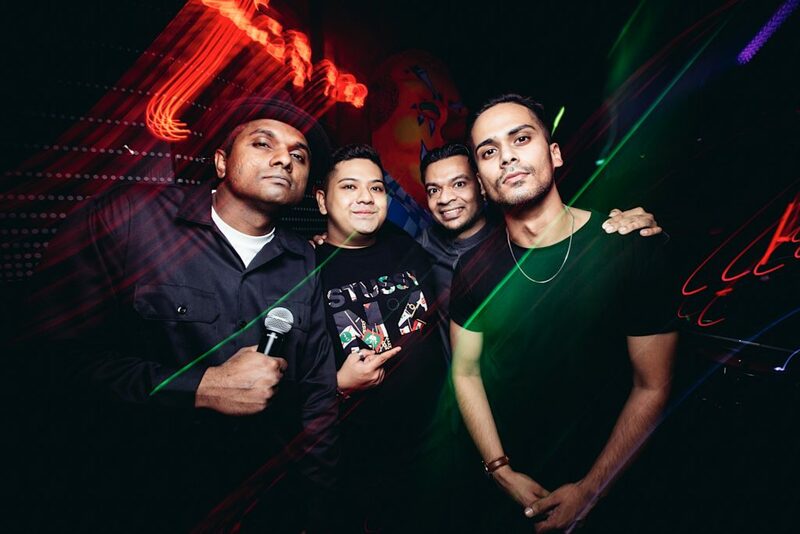 DJ Styluxtakut will be firing up the dancefloor all night long with your favourite Hip Hop and R&B tracks; come get down, get low on the 71st. 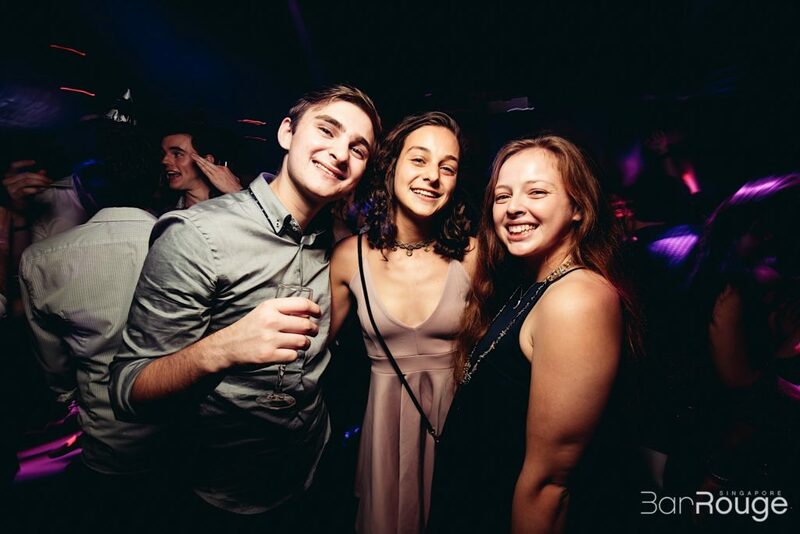 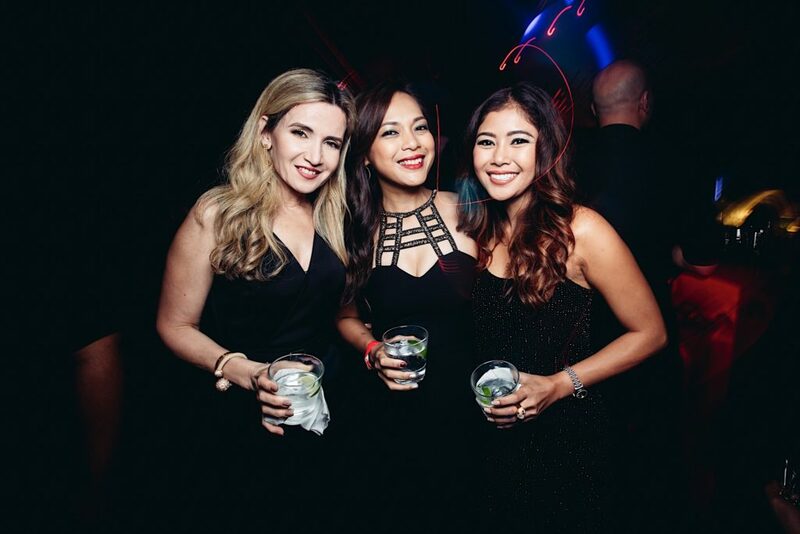 Be sure to grab your girlfriends along for a fun night out! 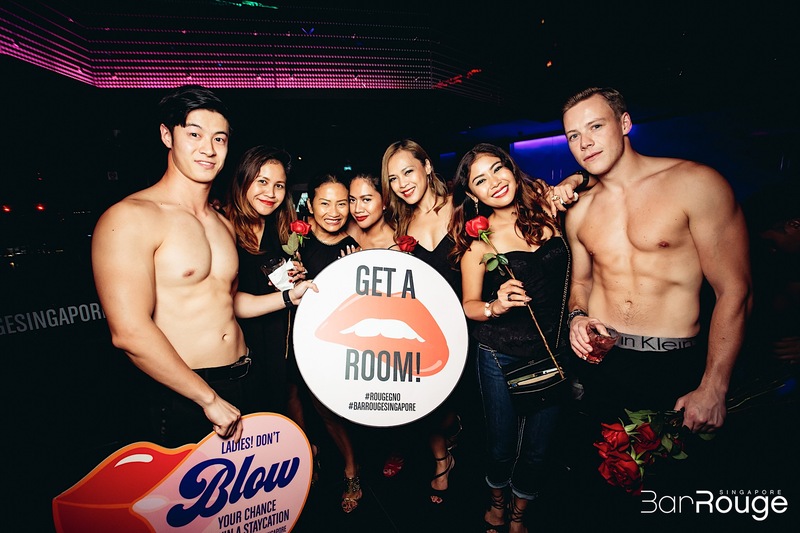 Watch out for our gorgeous male models and feel pampered while these eye candies hand you roses and pours of shots! 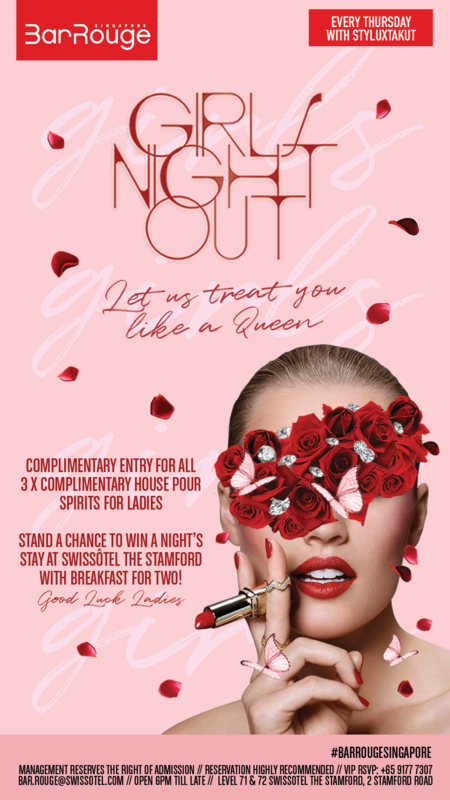 Top off your night by participating in our weekly giveaway and stand a chance to win a night’s stay at Swissotel The Stamford! 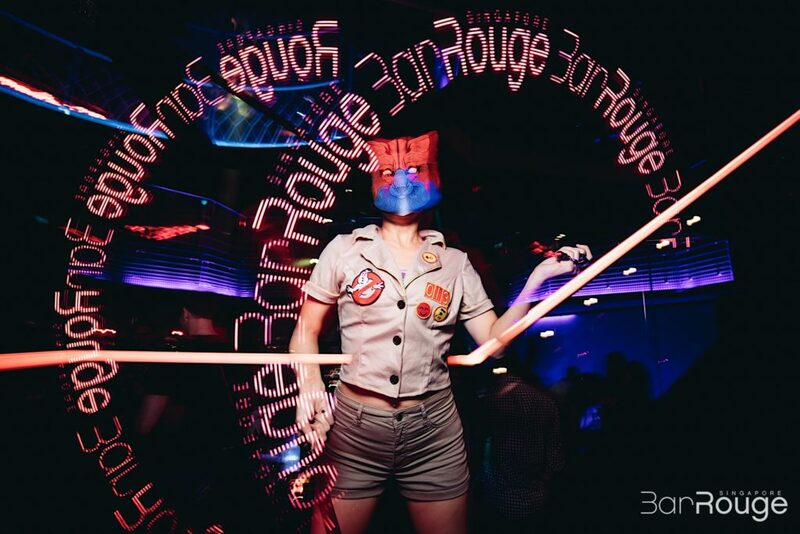 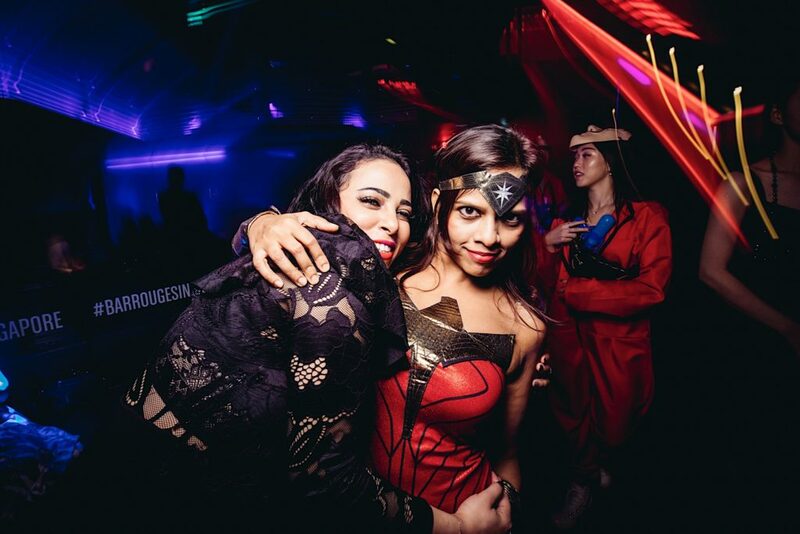 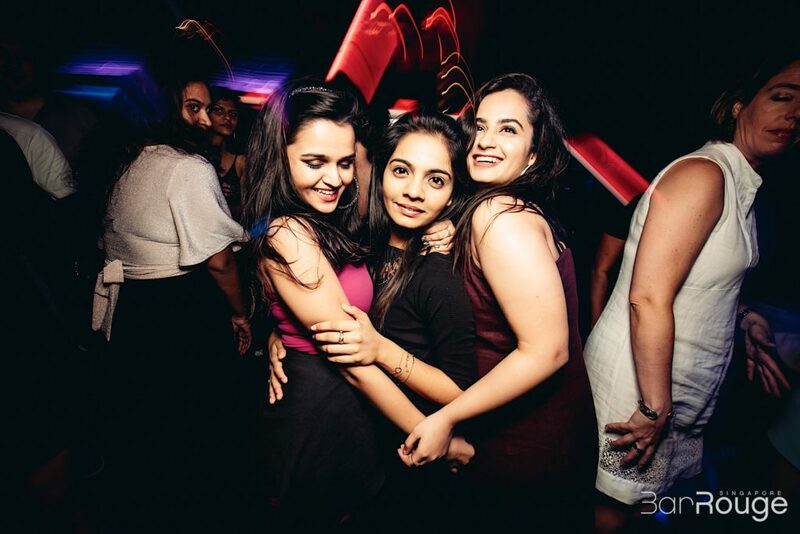 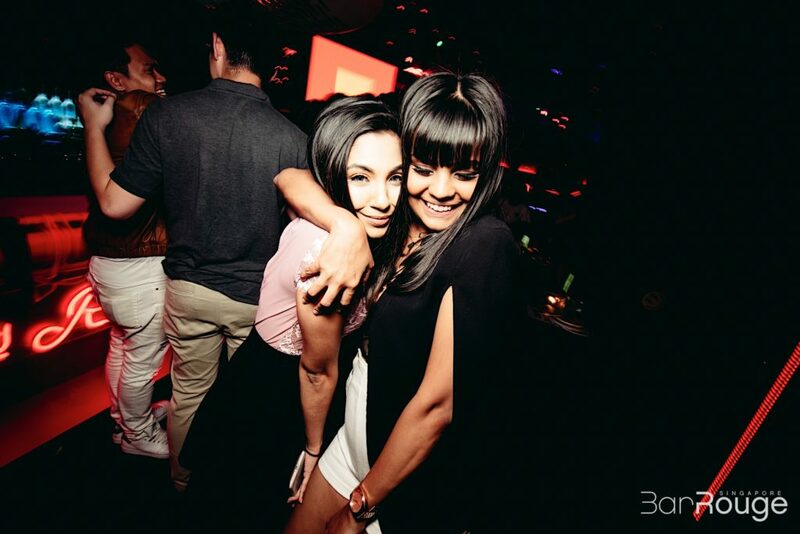 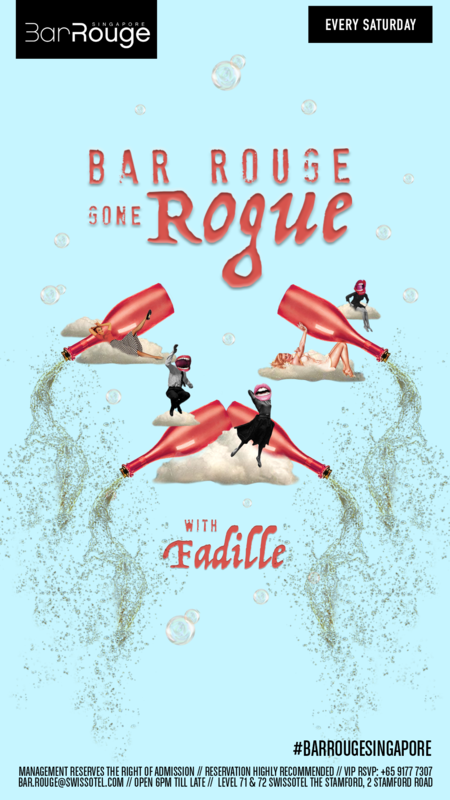 Chase the sun and party with us till 6am at Bar Rouge Gone Rouge every Saturday nights. 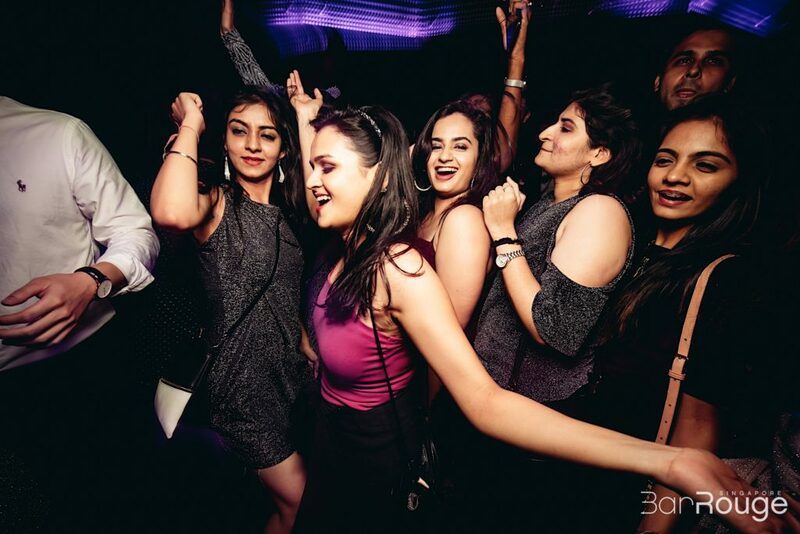 Join in the crazy and leave all inhibitions and worries at home and feel on top of the world on the 71st floor as you let loose at Asia’s highest dusk to dawn club. 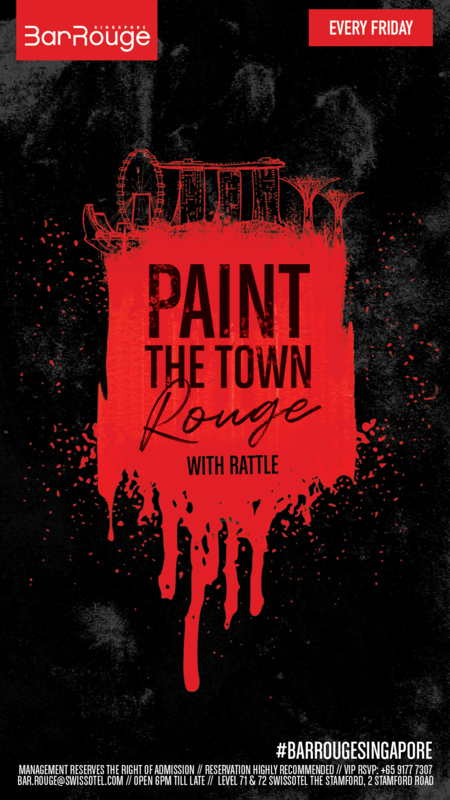 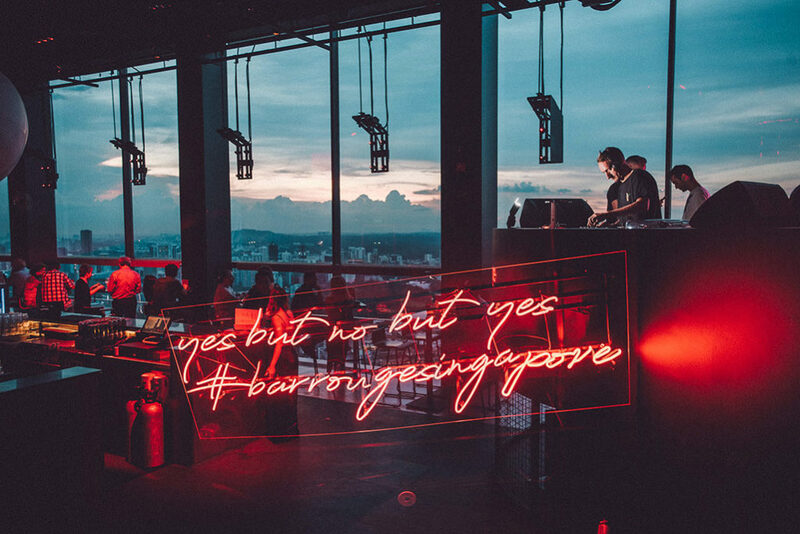 Bar Rouge, Singapore's premier rooftop destination delivers riveting beats against unparalleled cityscape panoramas featuring iconic local landmarks. 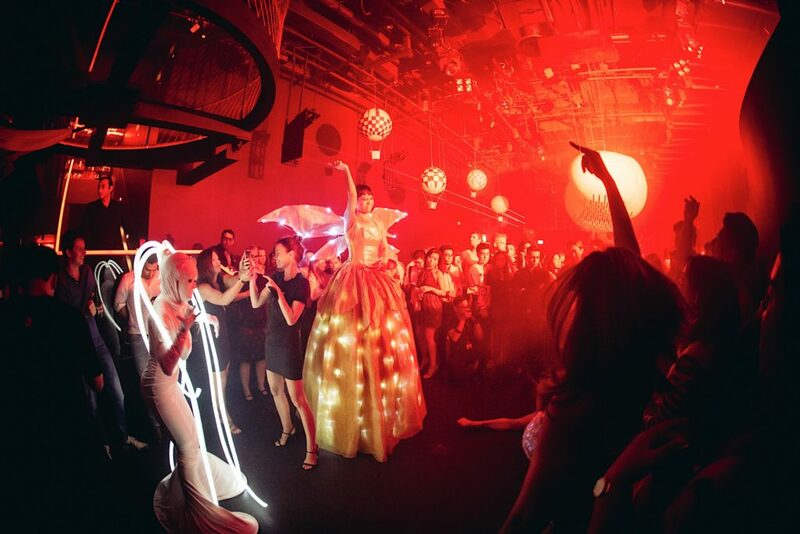 Plan your next big event with us. 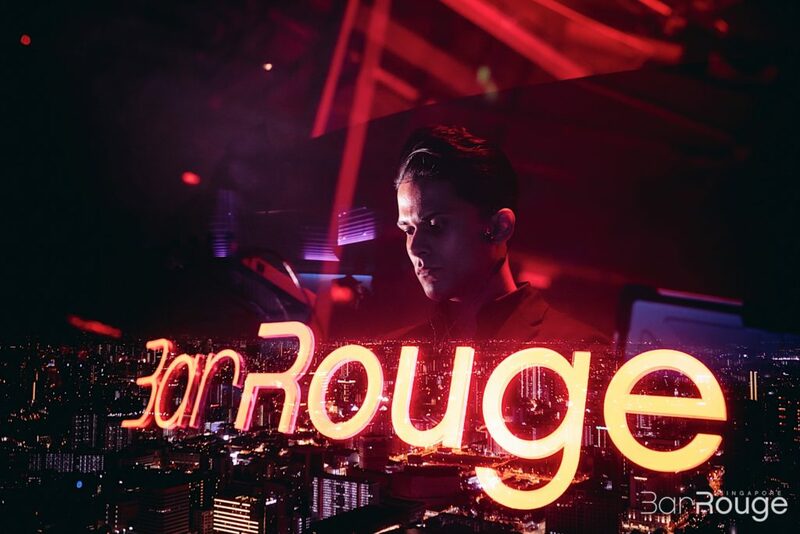 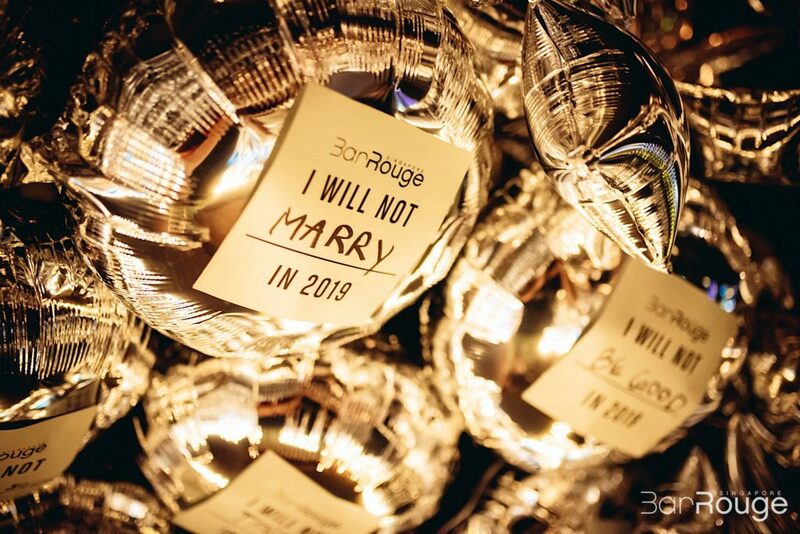 At Bar Rouge, we deliver in customising each event experience according to your desire. 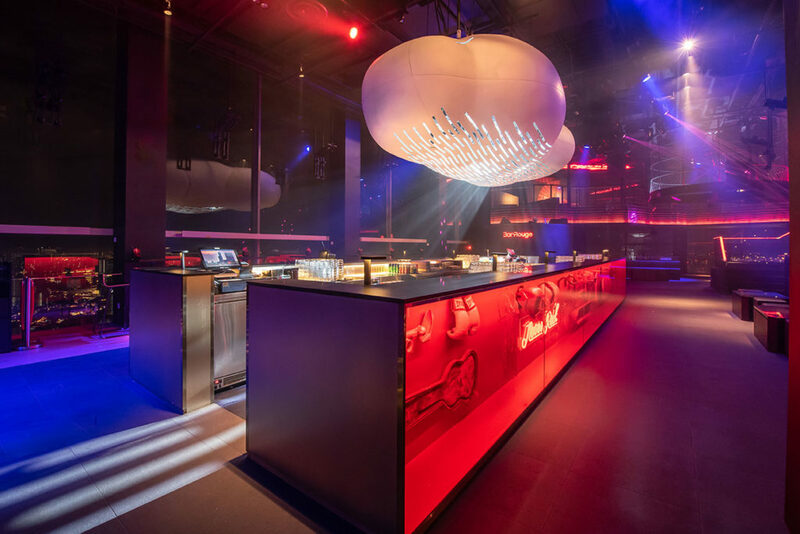 Day or night, we've got the space, team, ambience and distinctive F&B offerings to create a set-up that will wow your guests. 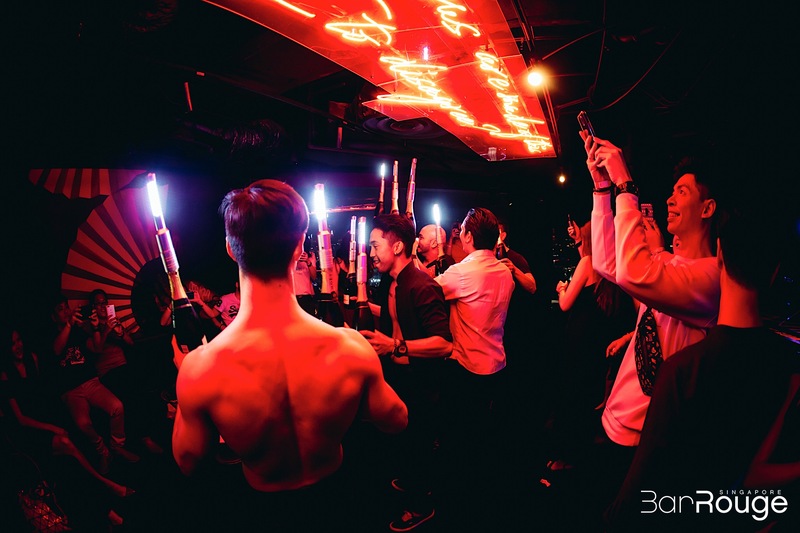 Enquire now for further information on pricing, packages and availability. 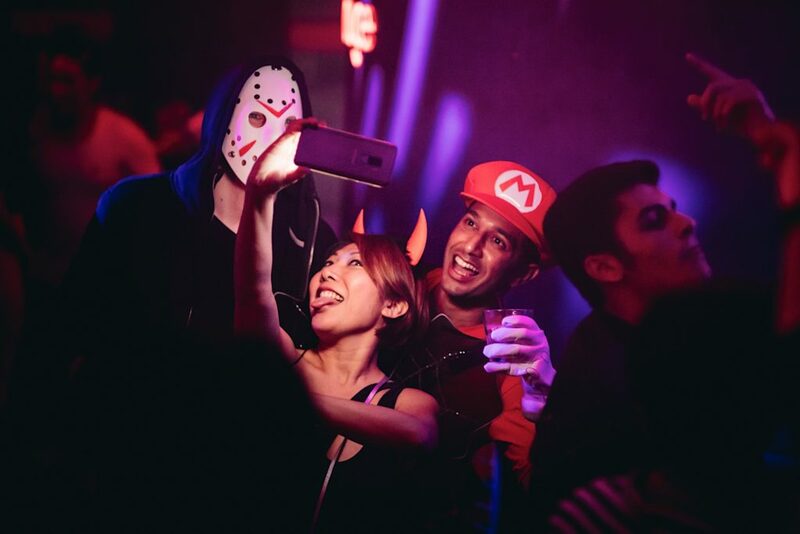 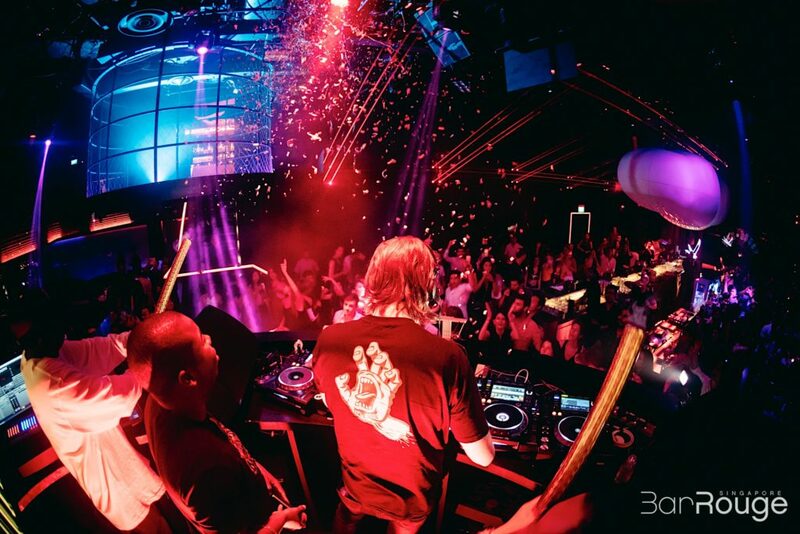 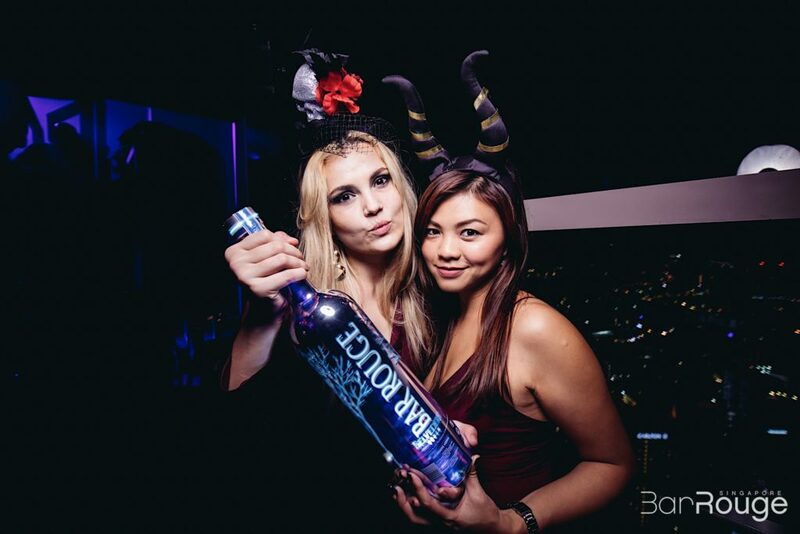 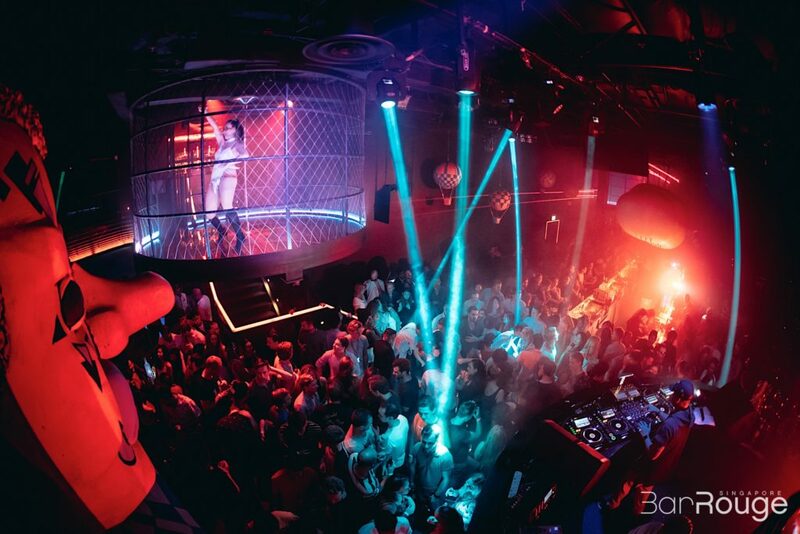 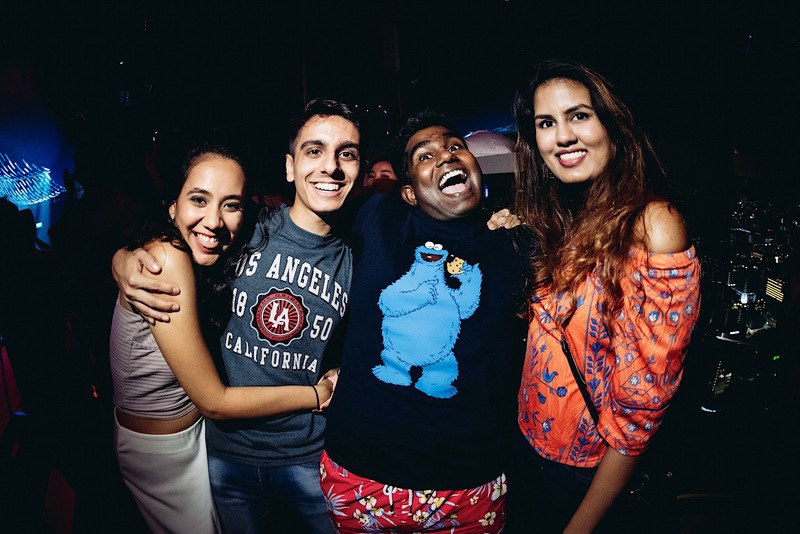 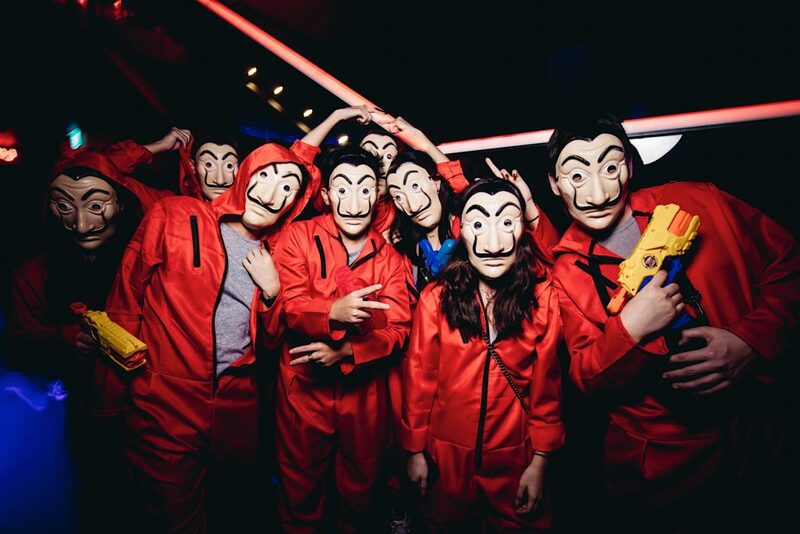 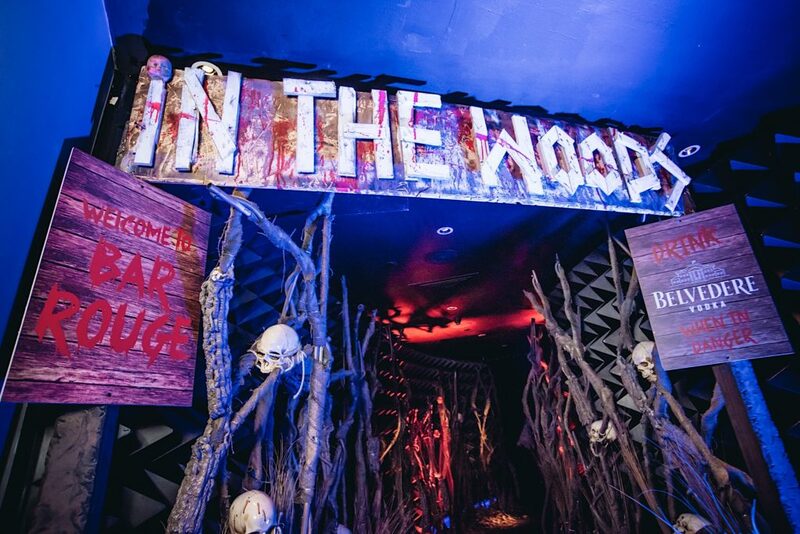 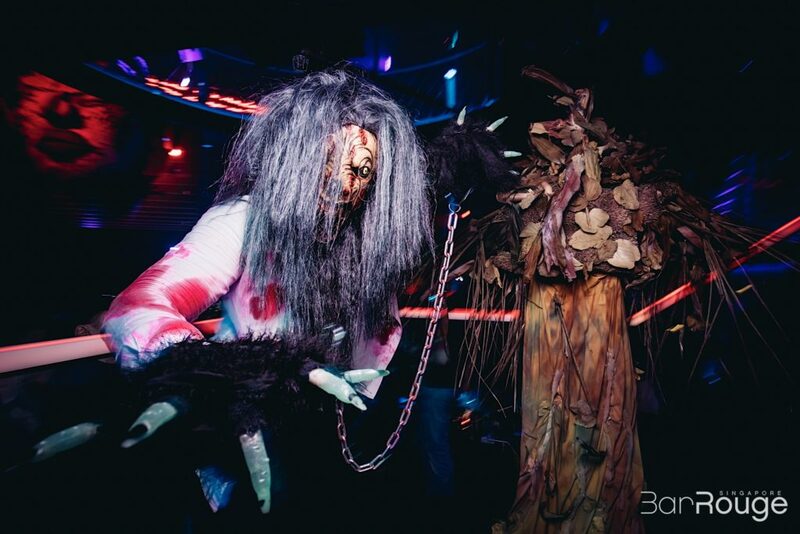 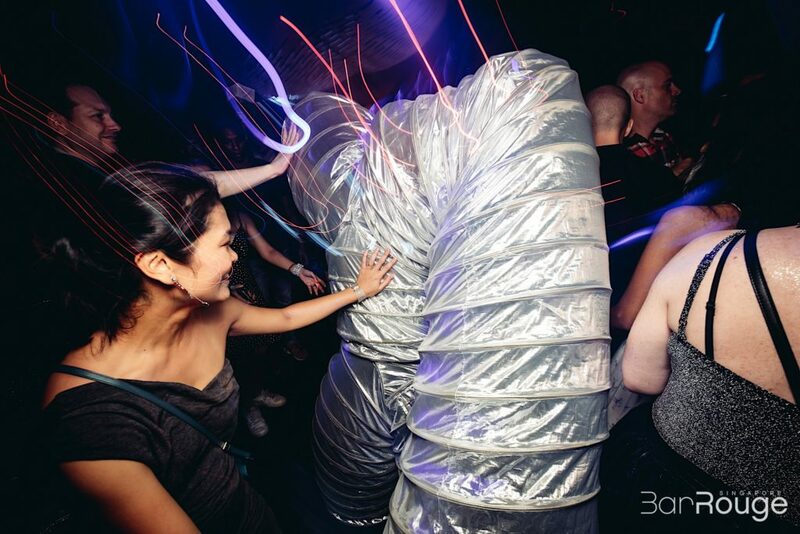 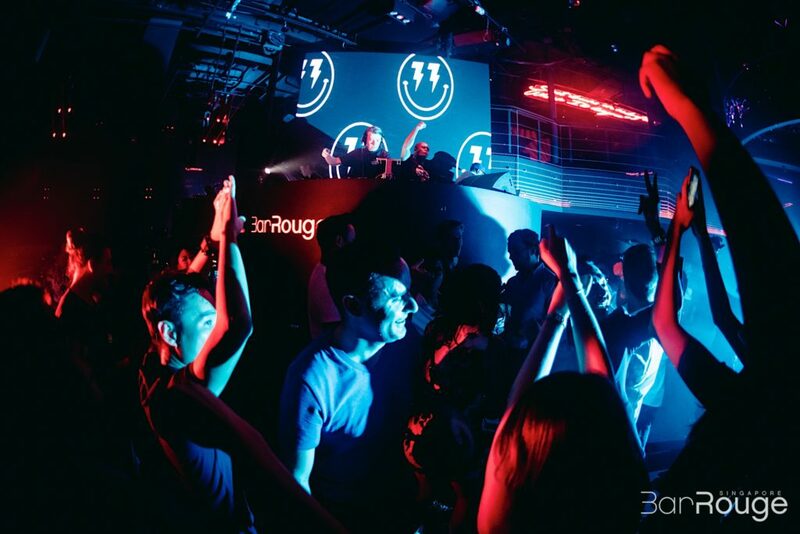 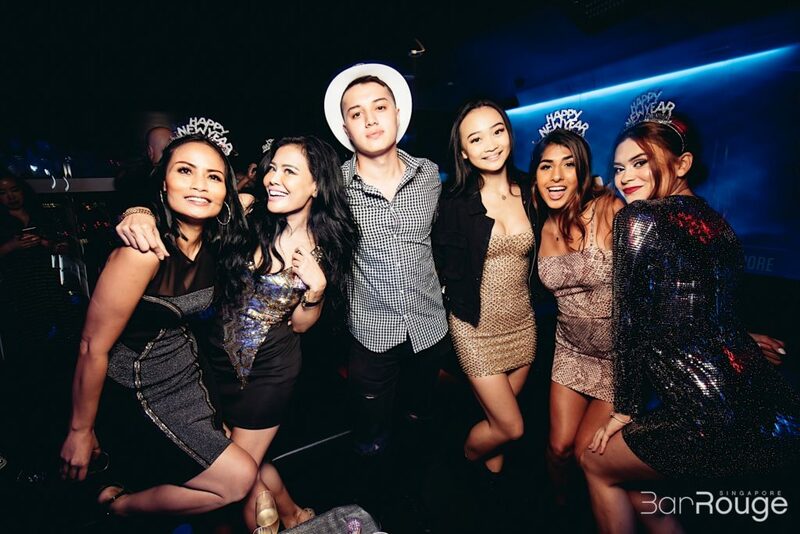 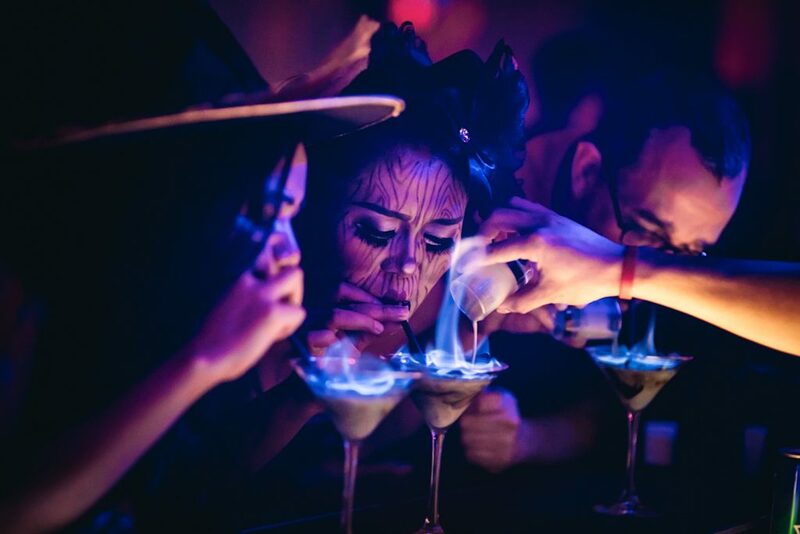 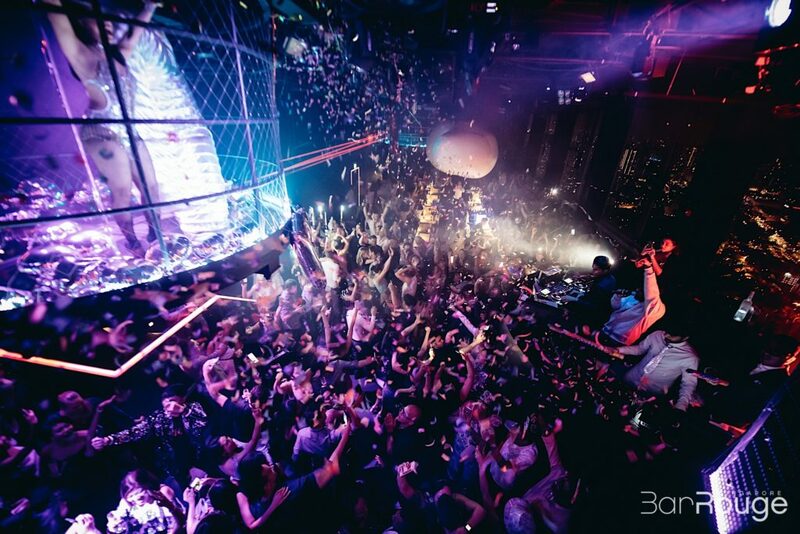 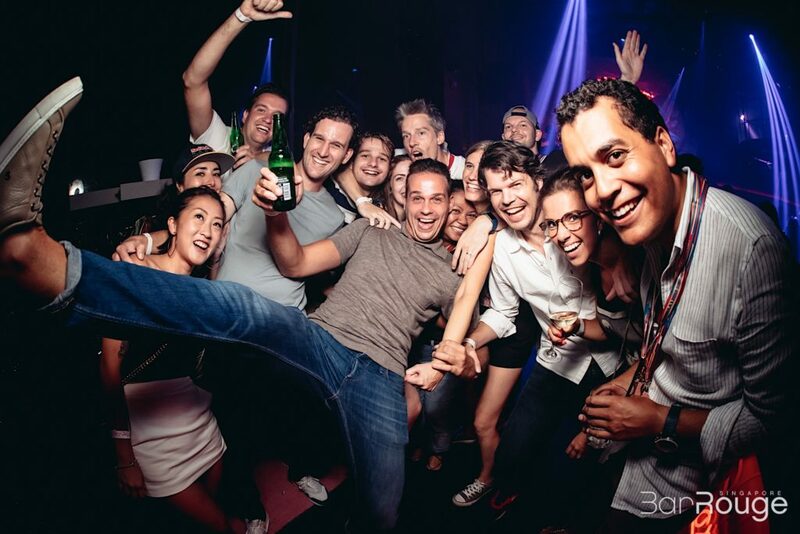 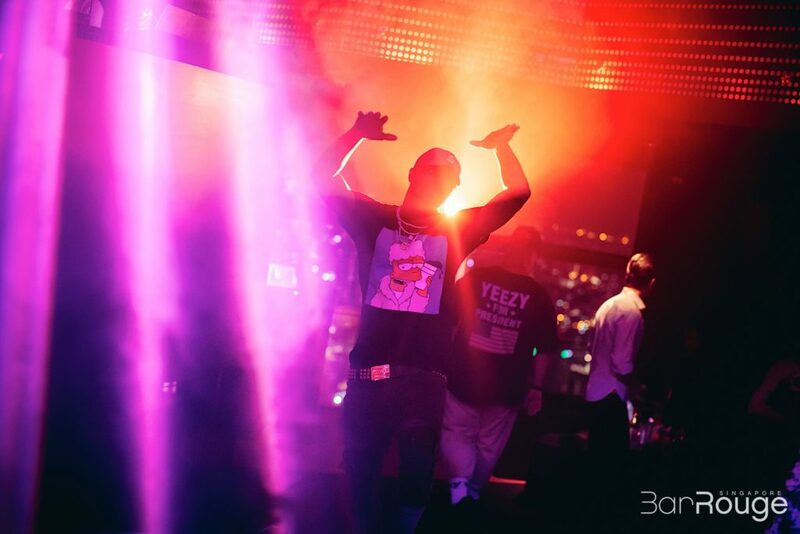 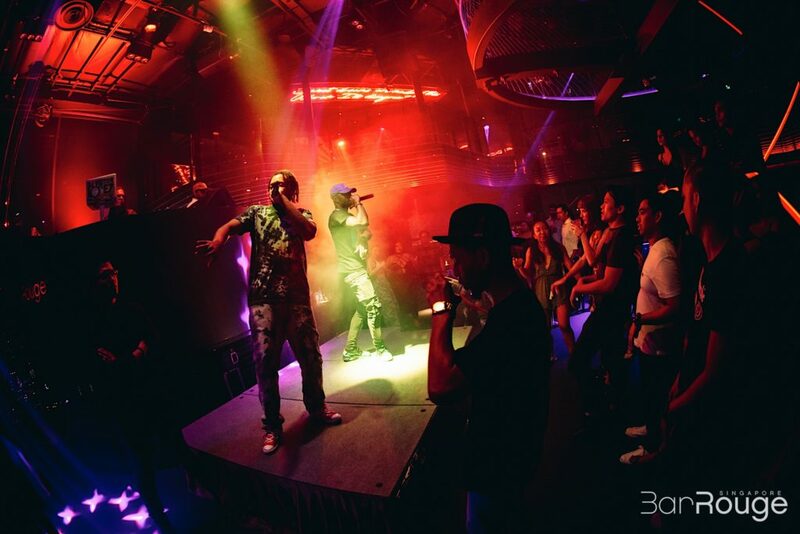 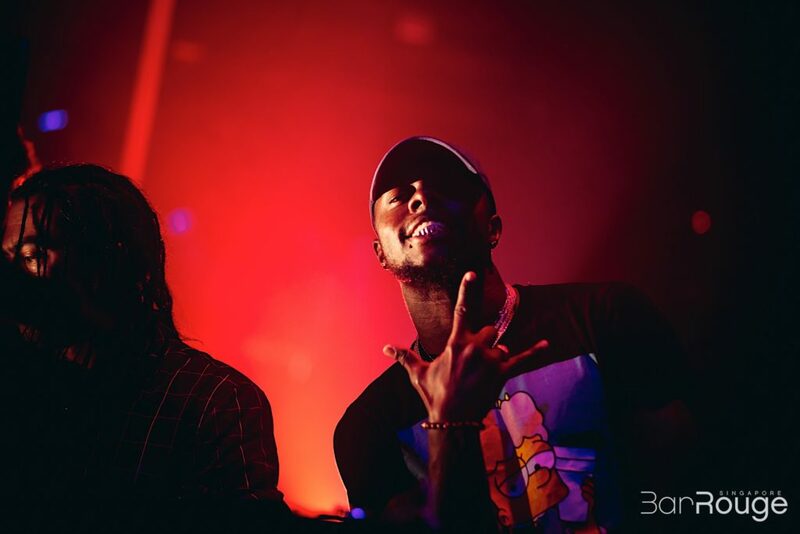 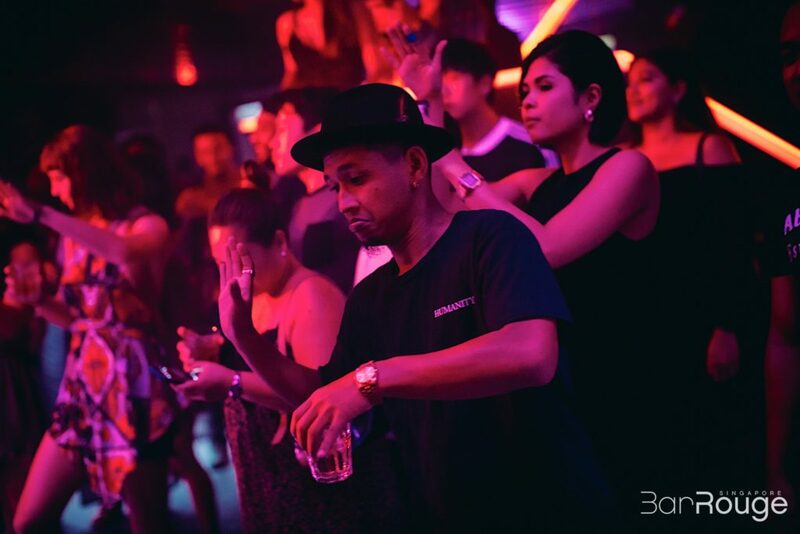 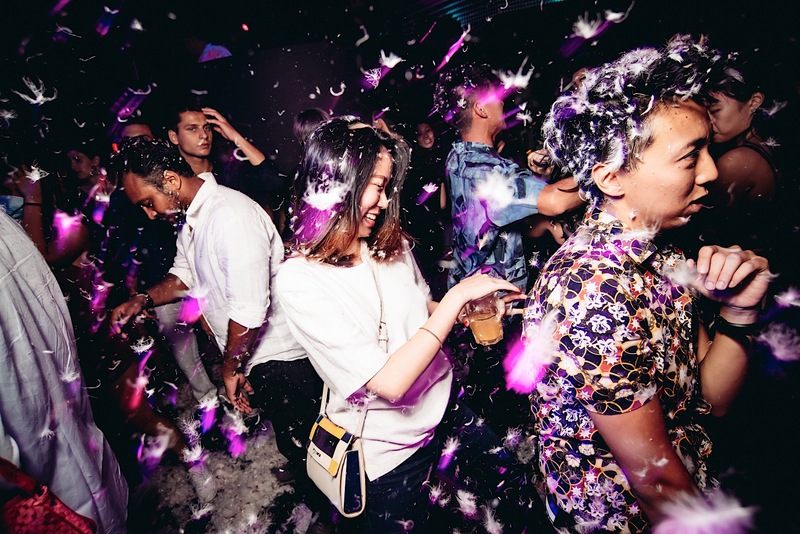 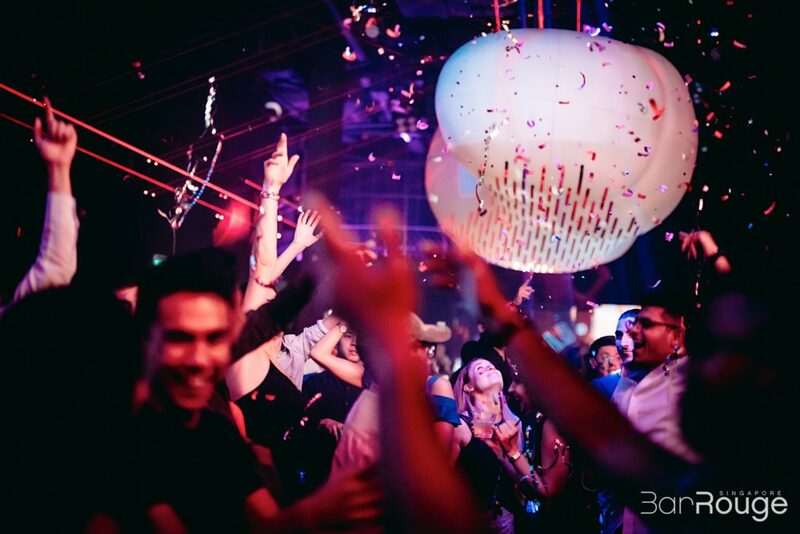 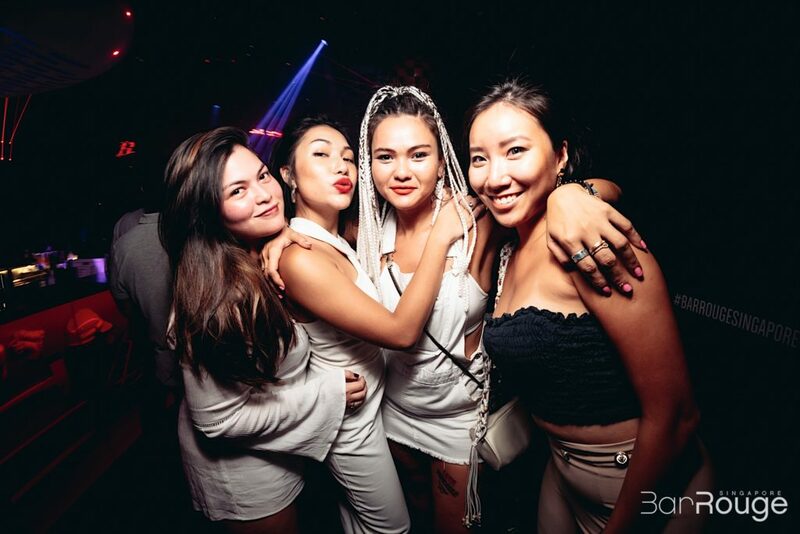 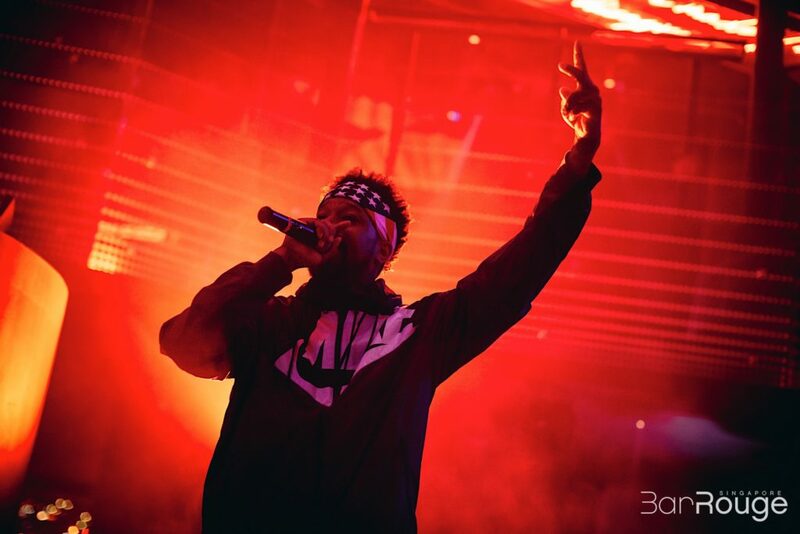 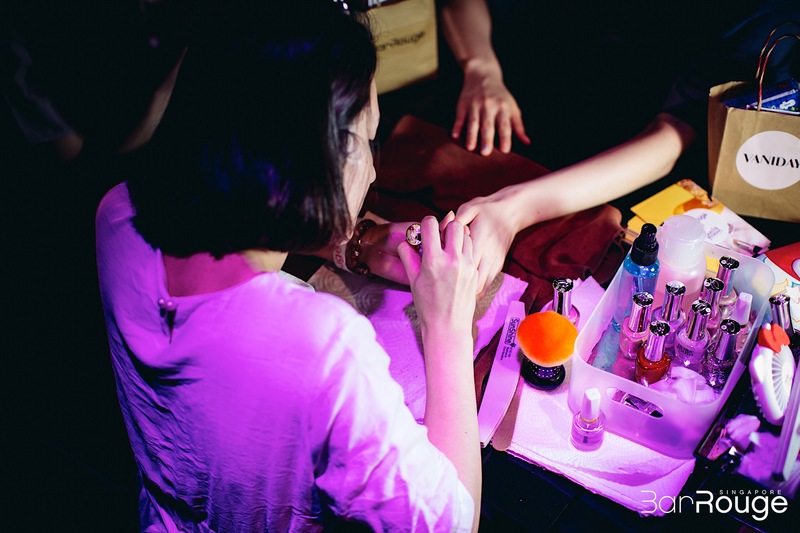 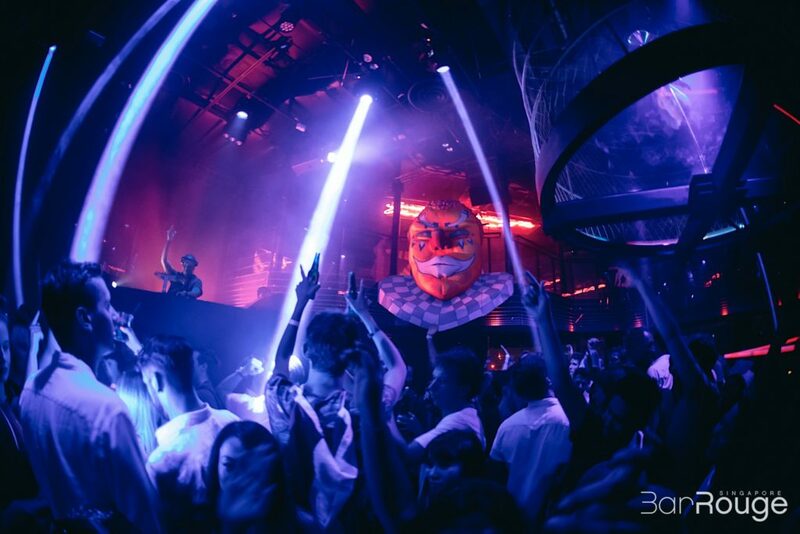 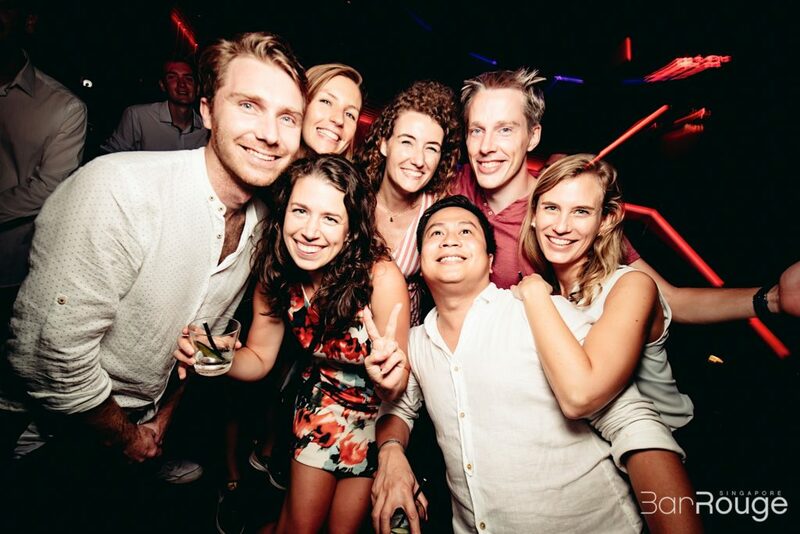 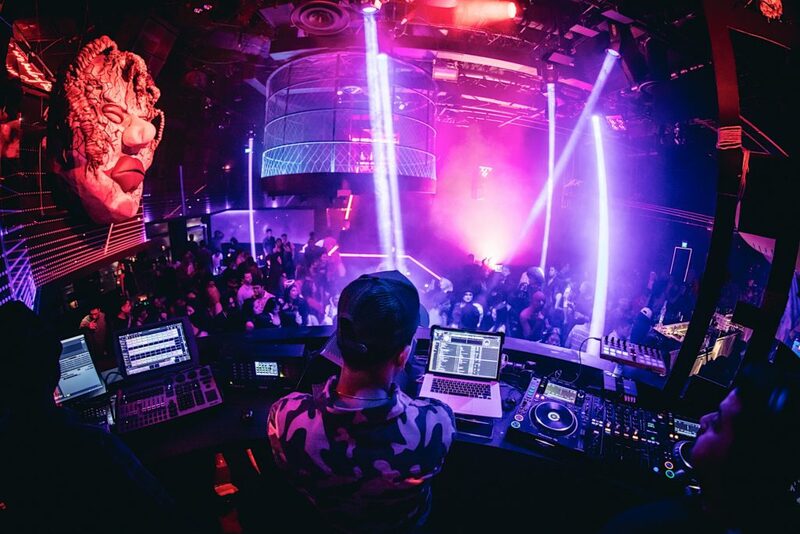 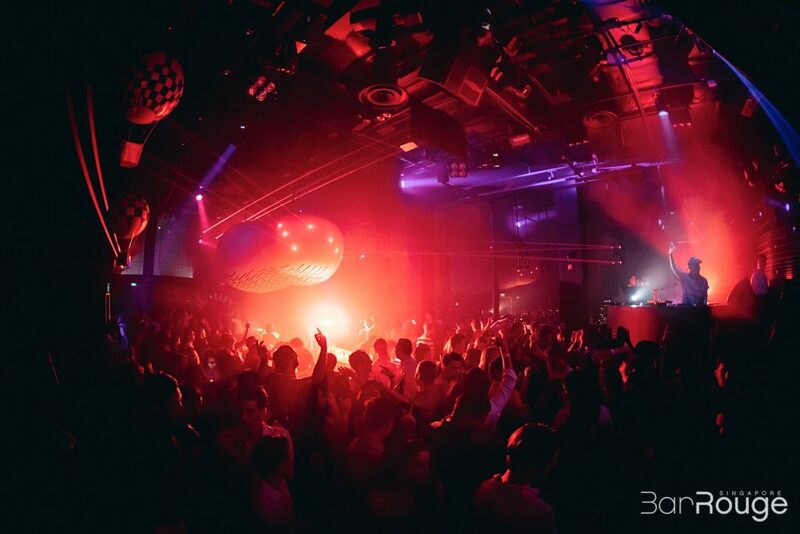 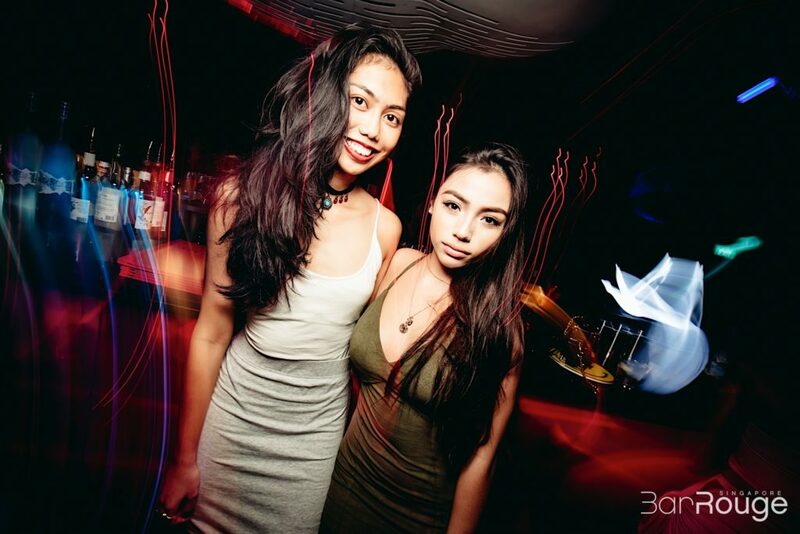 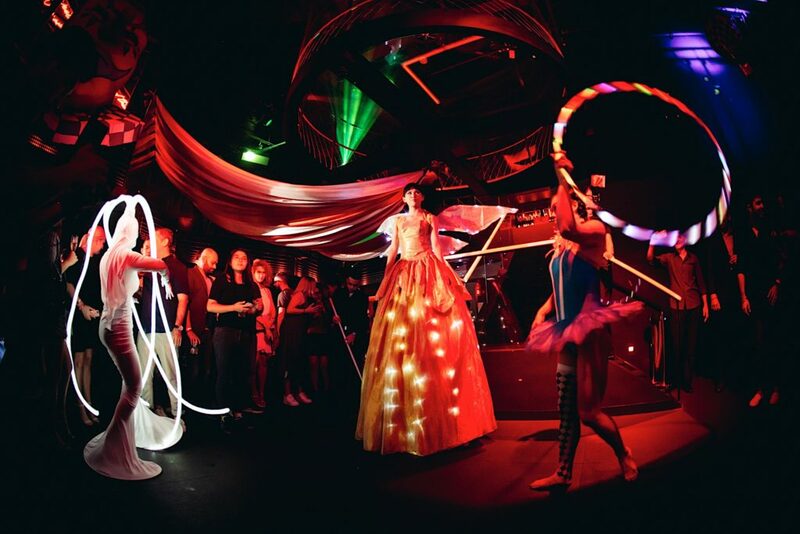 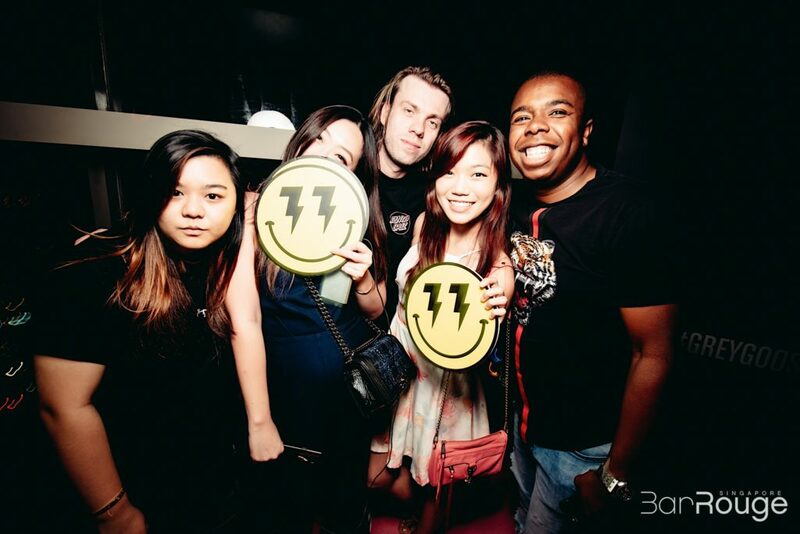 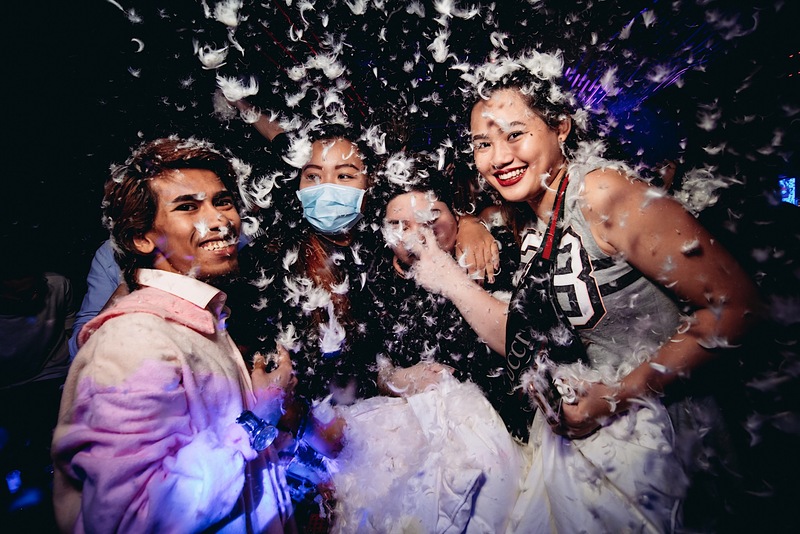 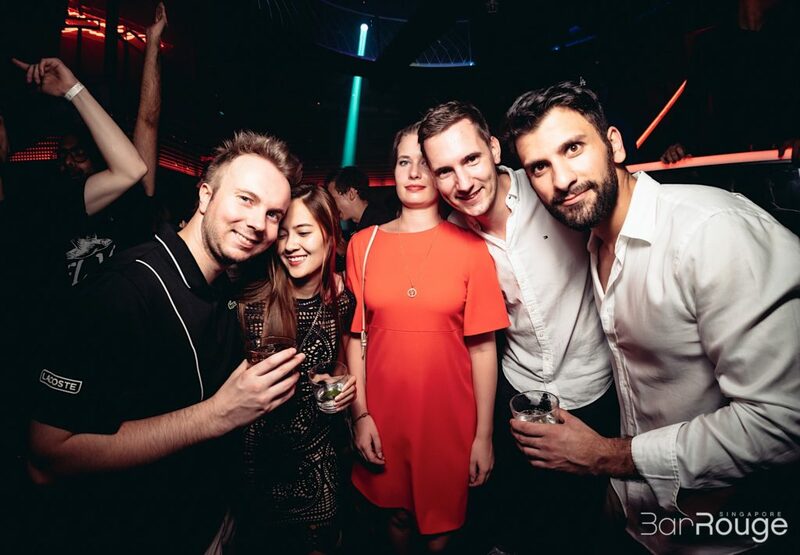 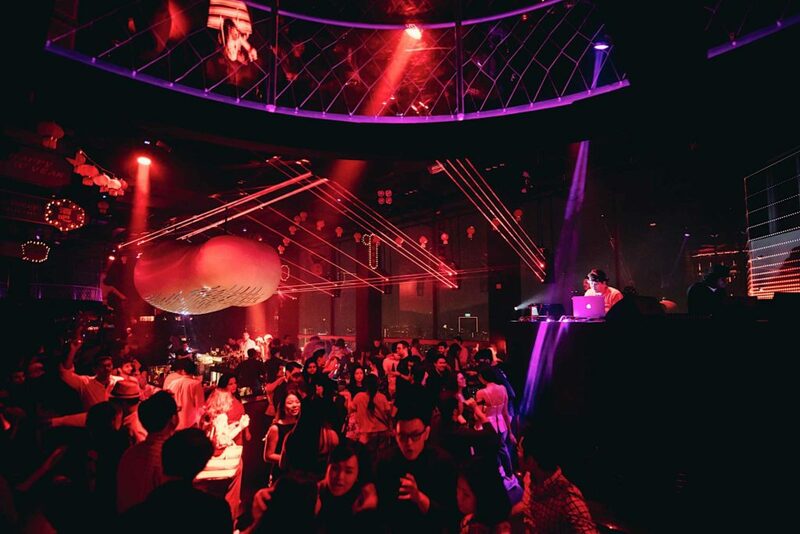 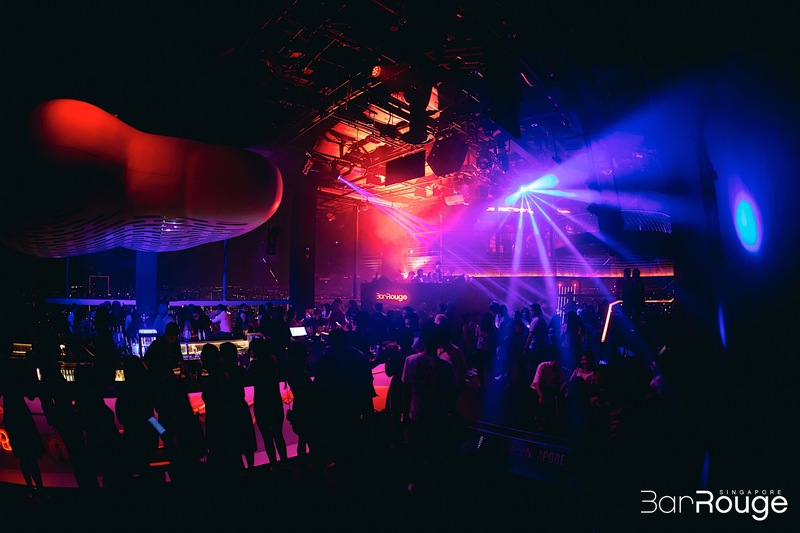 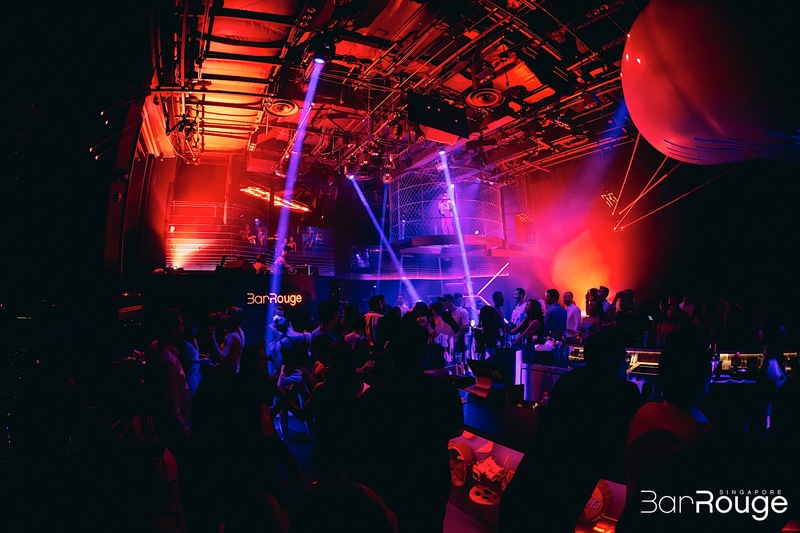 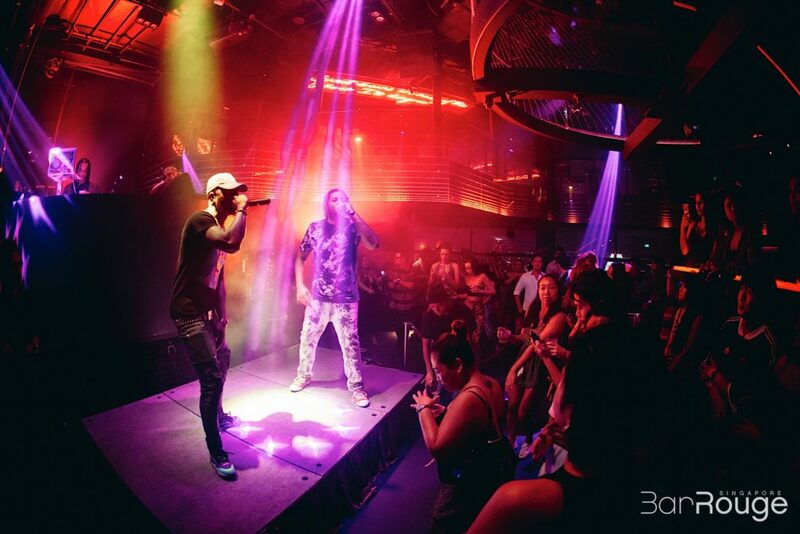 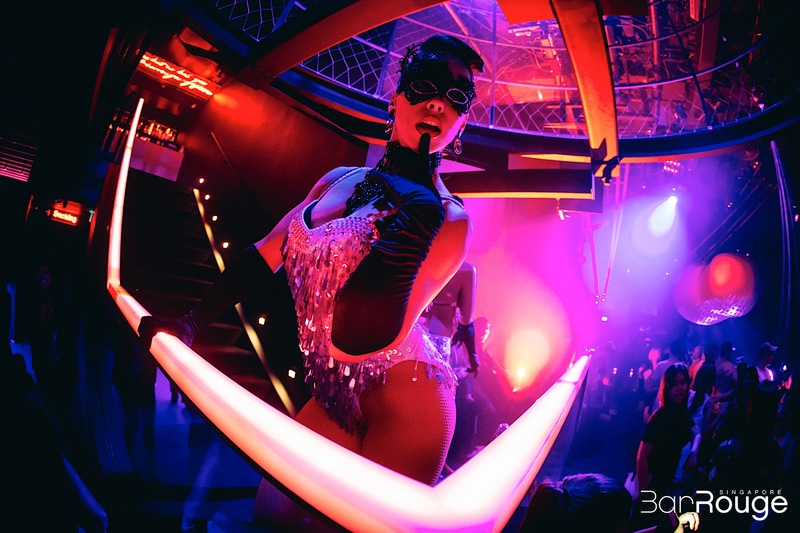 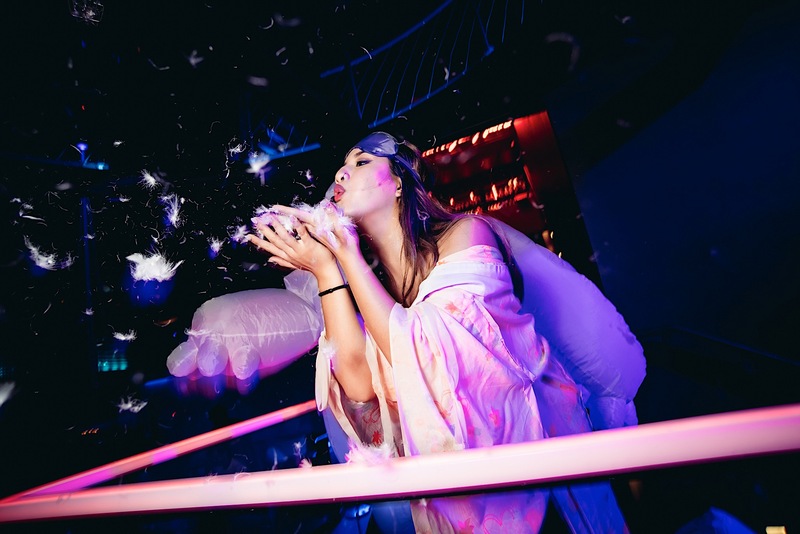 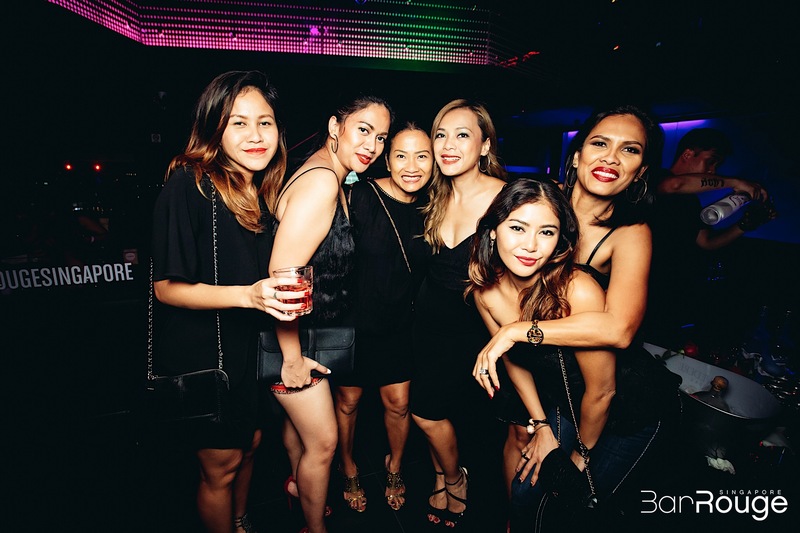 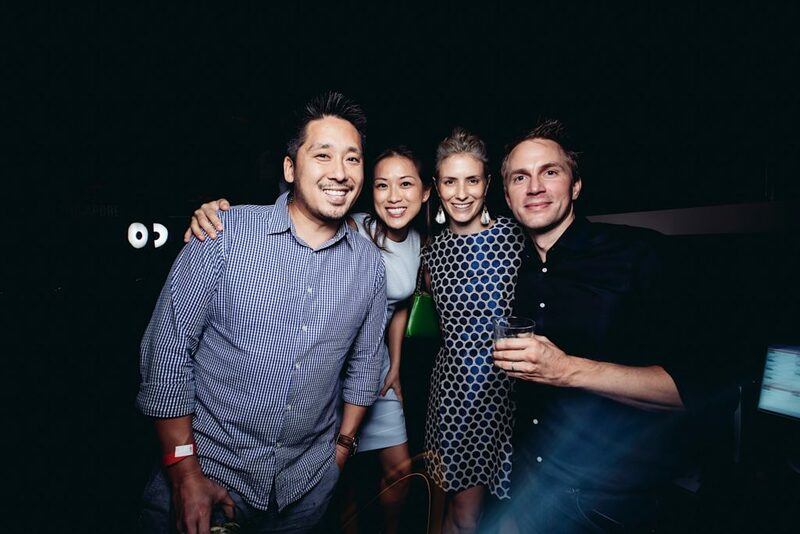 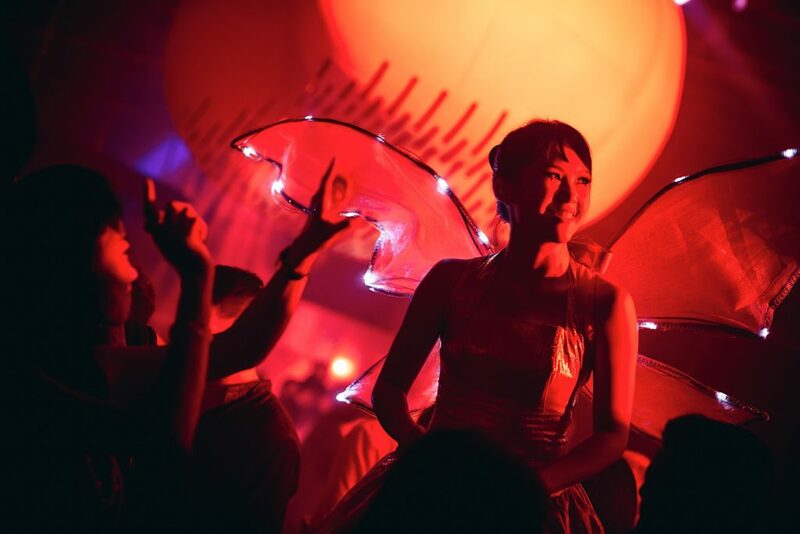 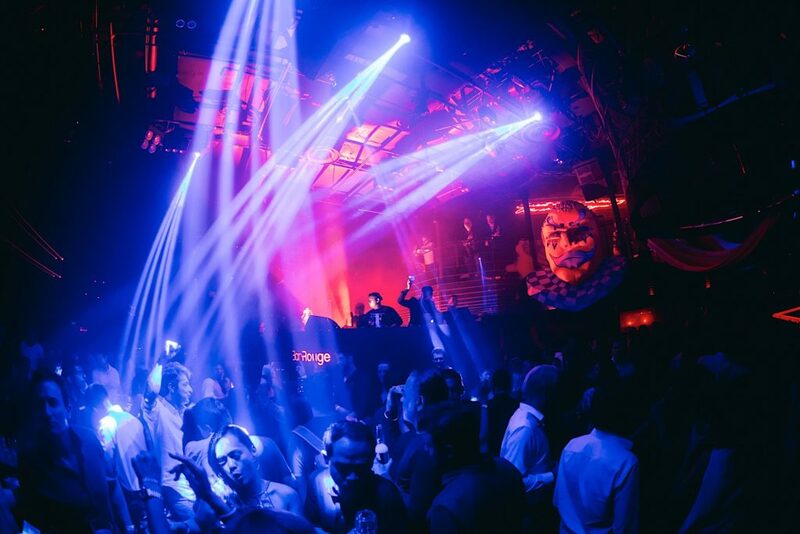 Discover what’s on in Singapore’s premier nightlife destination.